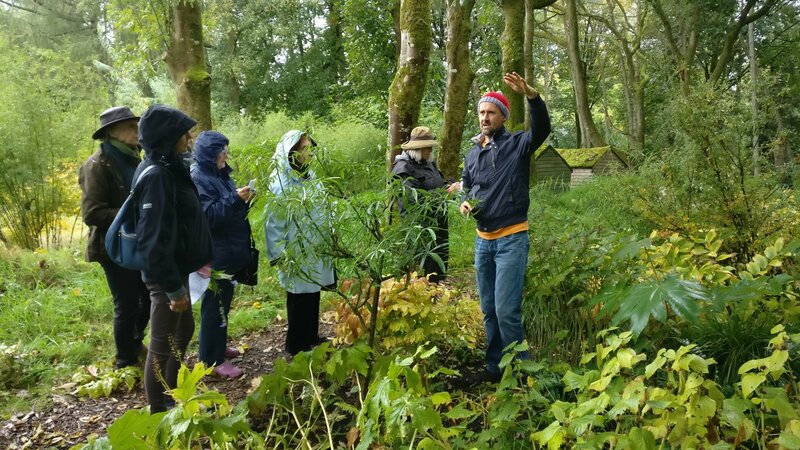 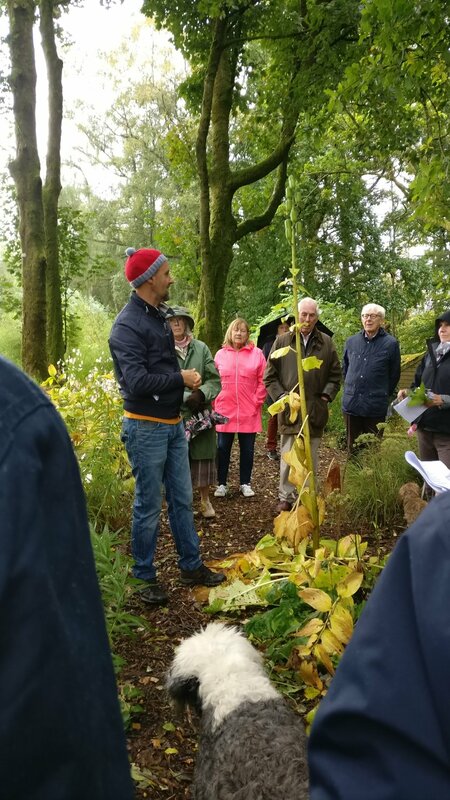 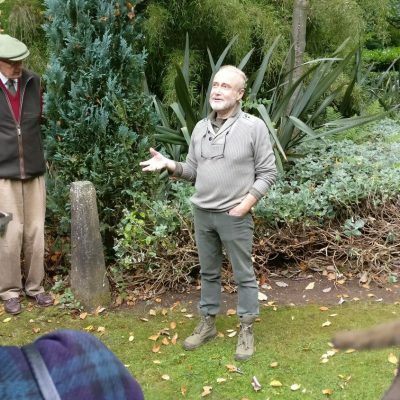 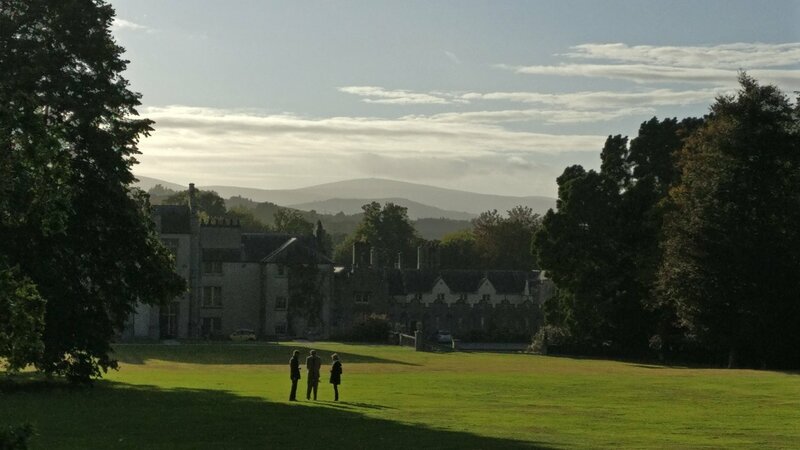 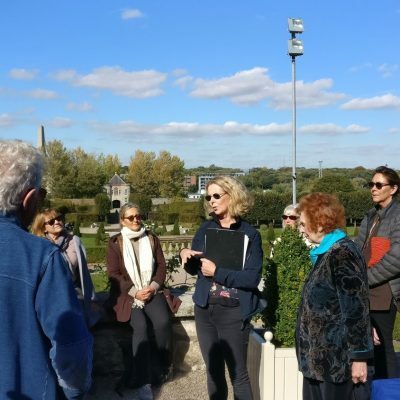 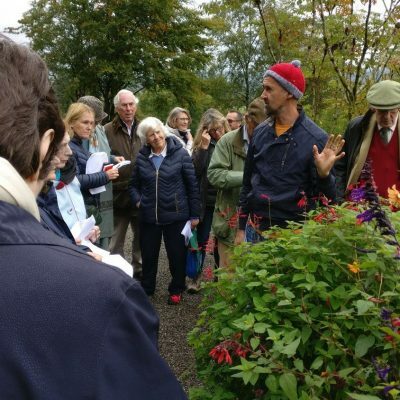 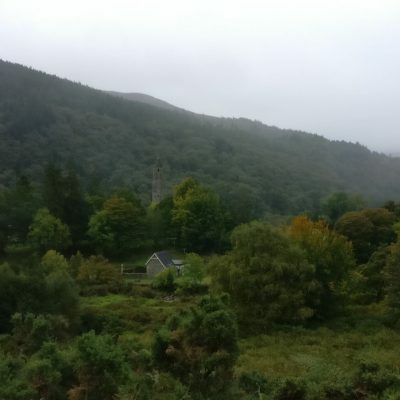 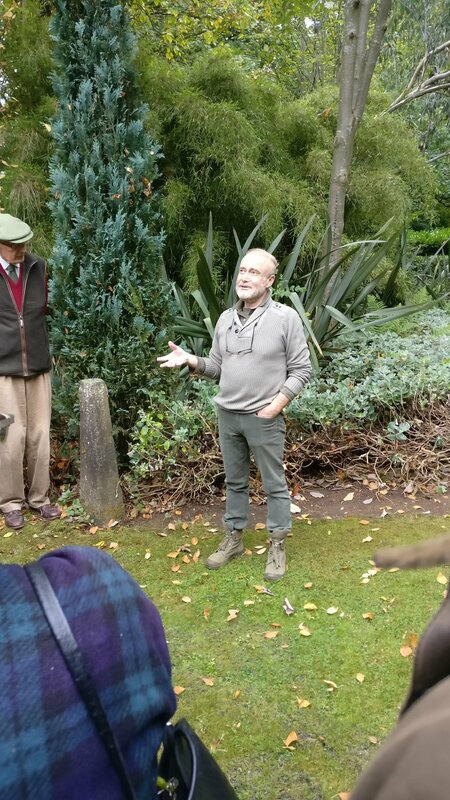 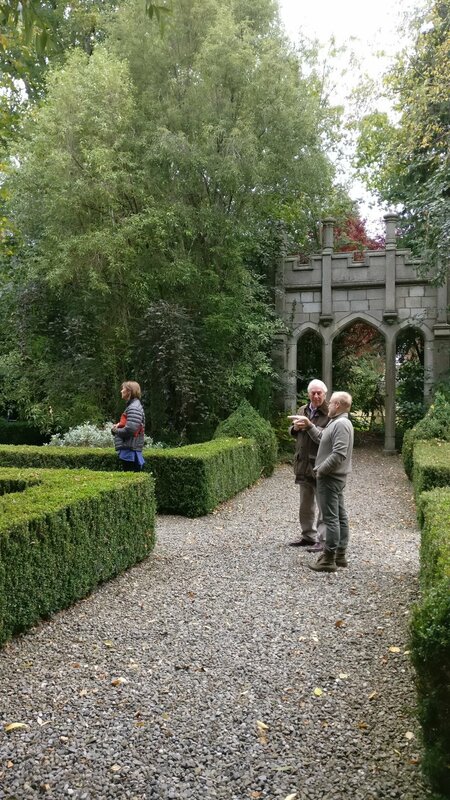 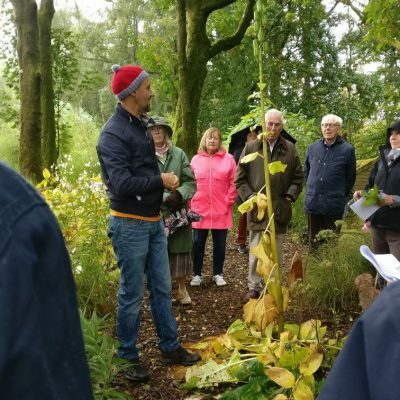 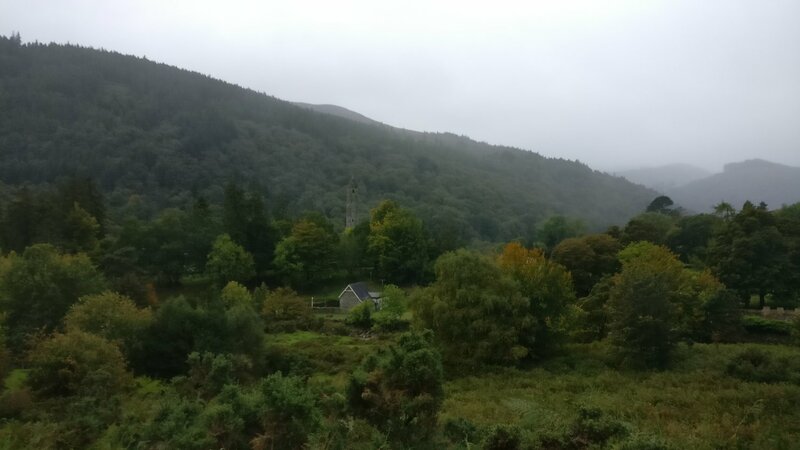 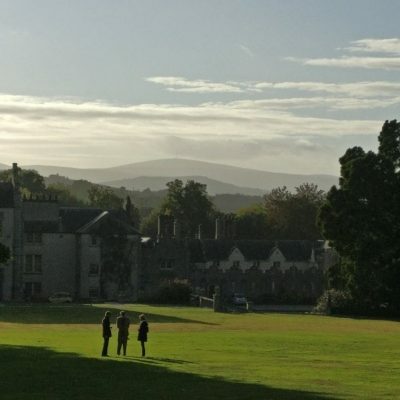 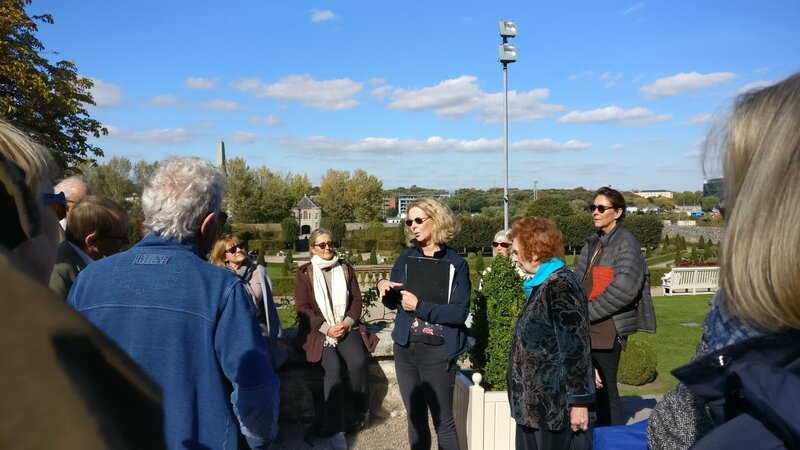 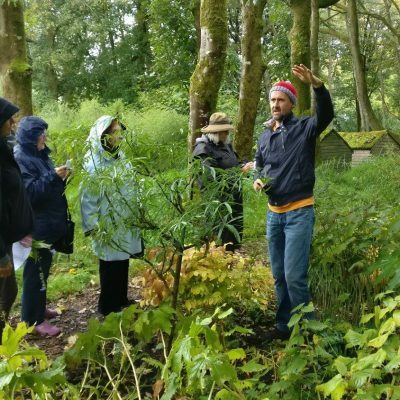 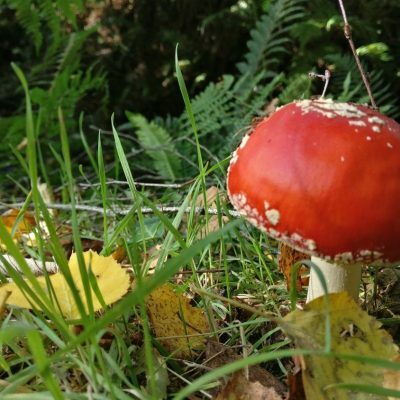 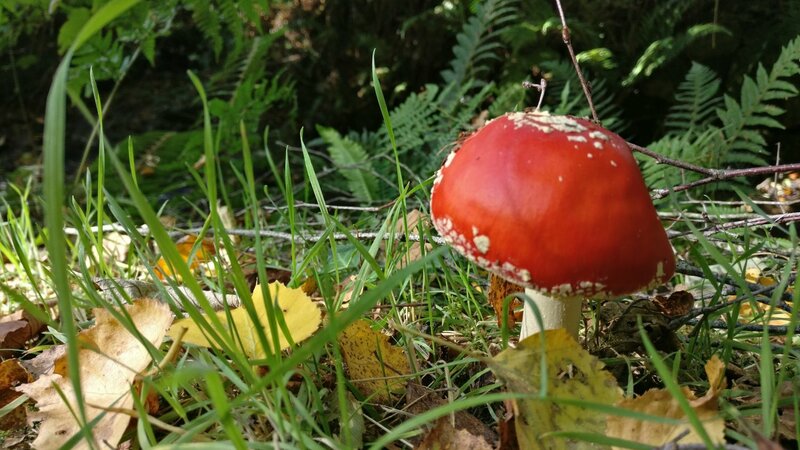 In late September and early October, EBTS UK went on a trip to Dublin & the Wicklow Mountains arranged exclusively for us by Boxwood Tours Ltd. 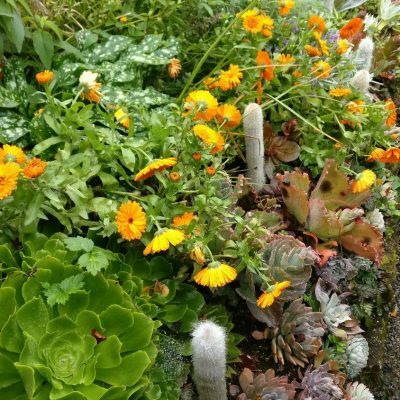 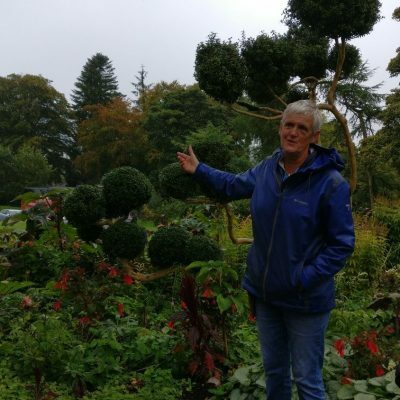 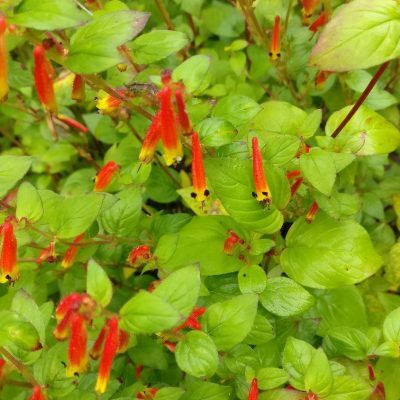 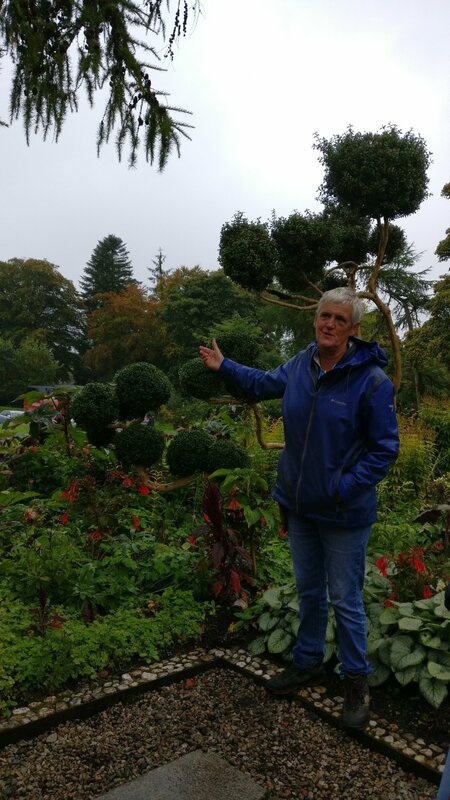 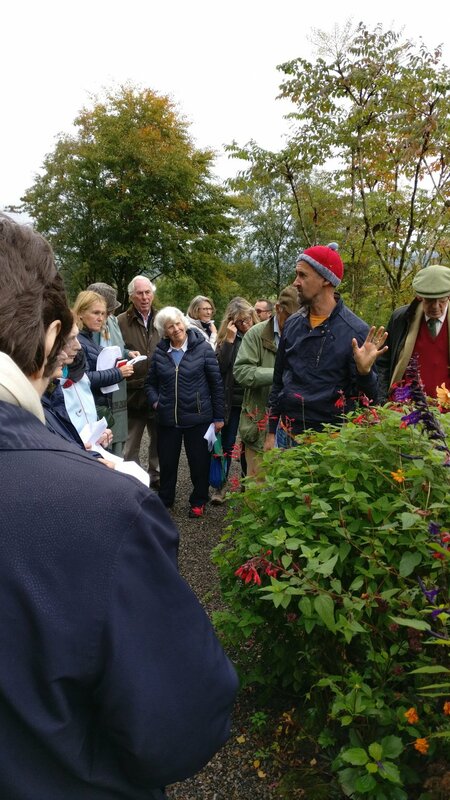 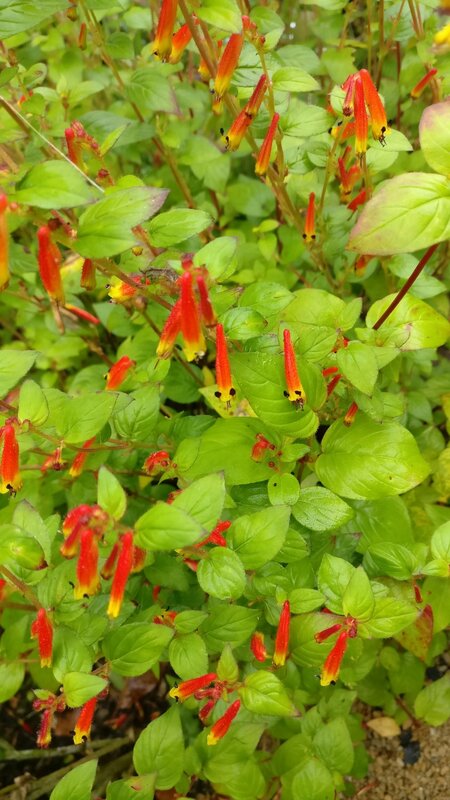 This four day adventure, expertly looked after by Patience Shone & Charlotte Maclean, took us to see a wonderfully varied gardens. 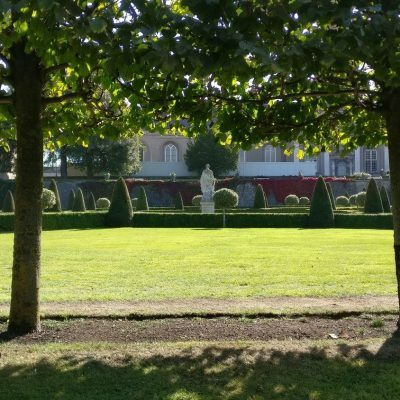 Here are some pictures from the tour. 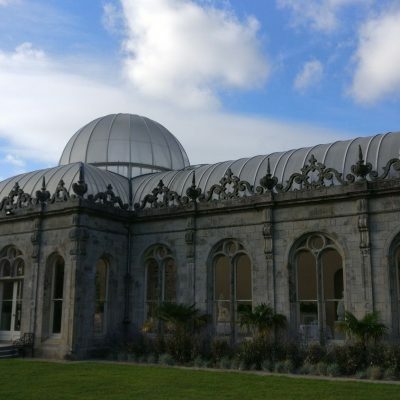 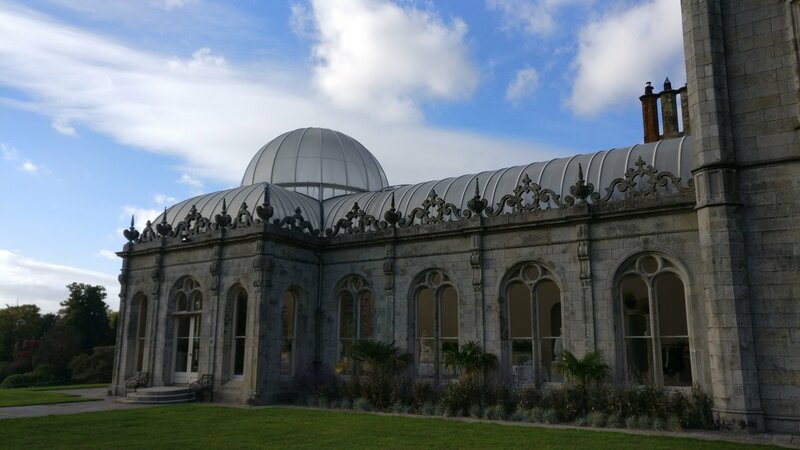 This is one of Ireland’s more successful restorations: the 17th century classical building is now the home of the Irish Museum of Modern Art. 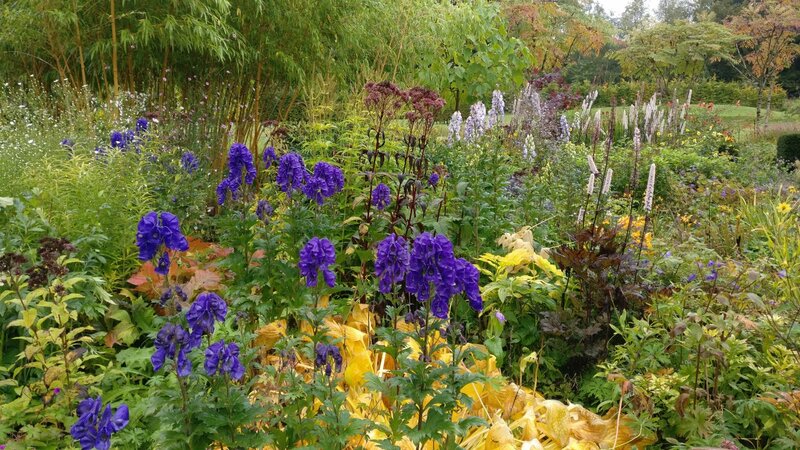 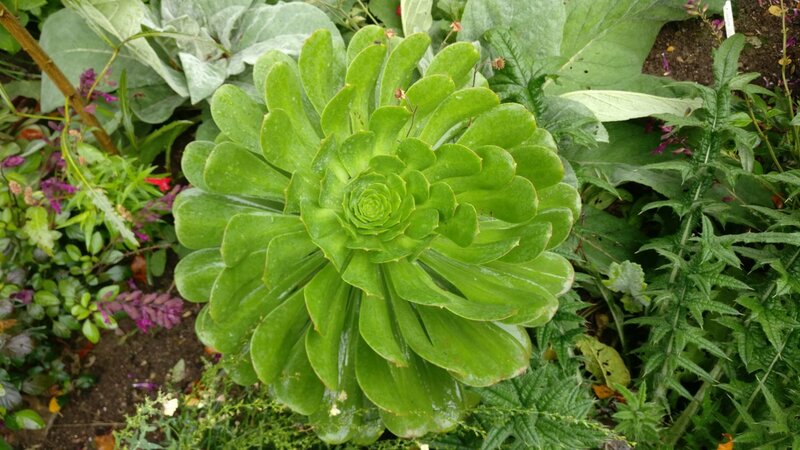 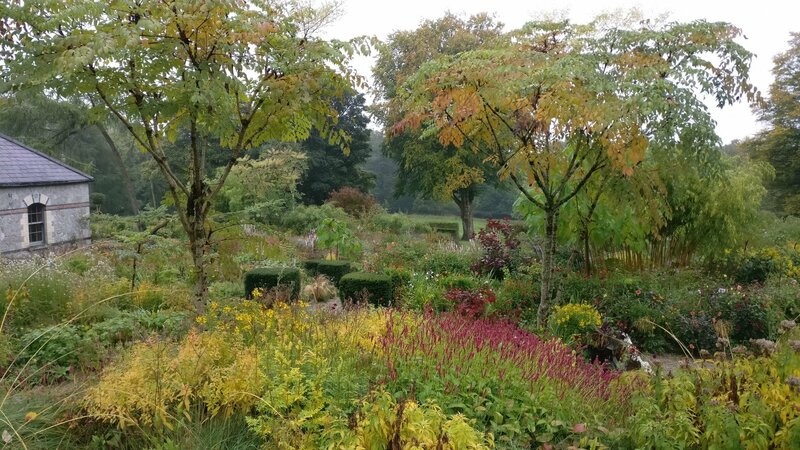 The garden takes it’s inspiration from a plan by John Evelyn’s fourth edition of ‘Sylvia’ published in 1706. 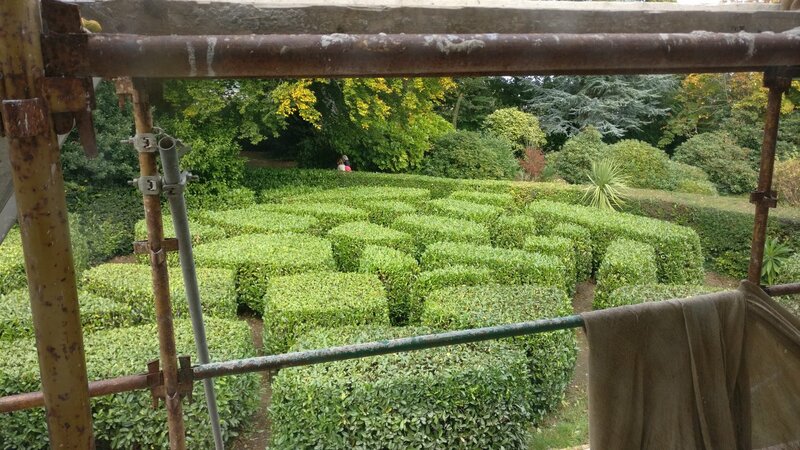 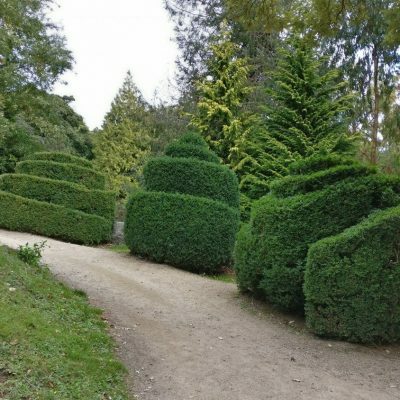 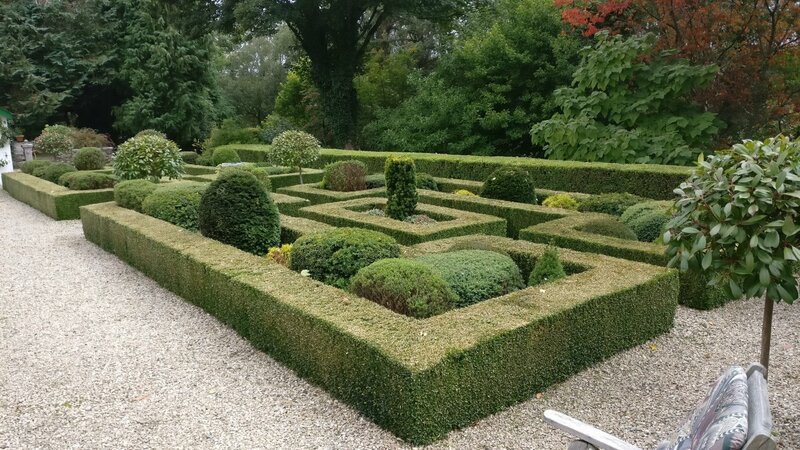 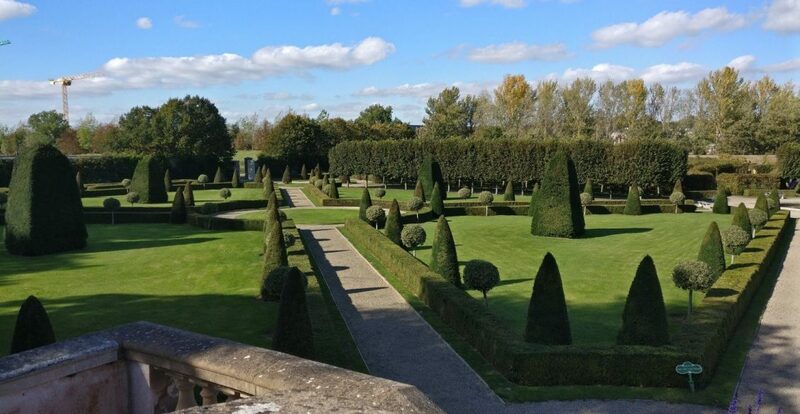 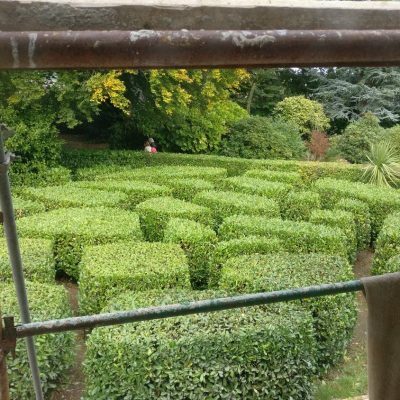 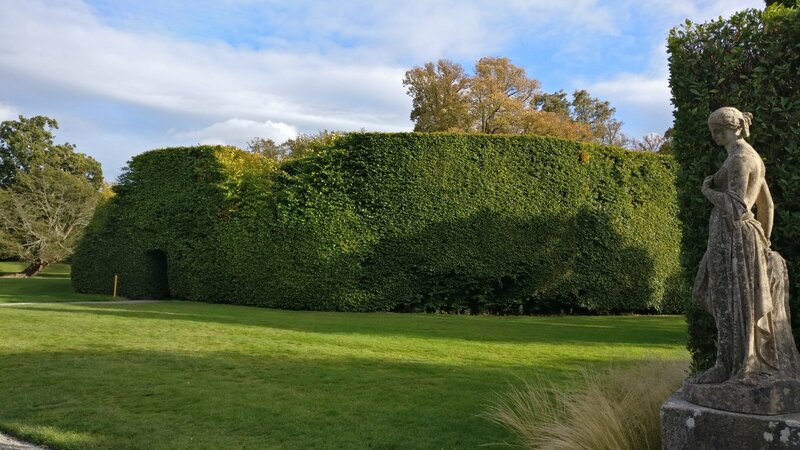 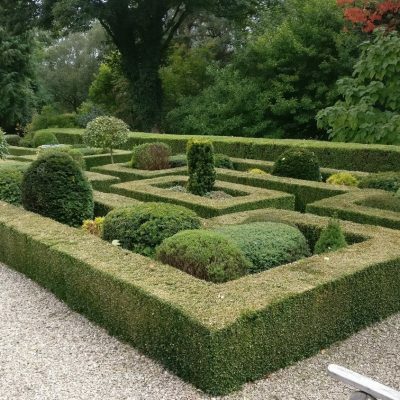 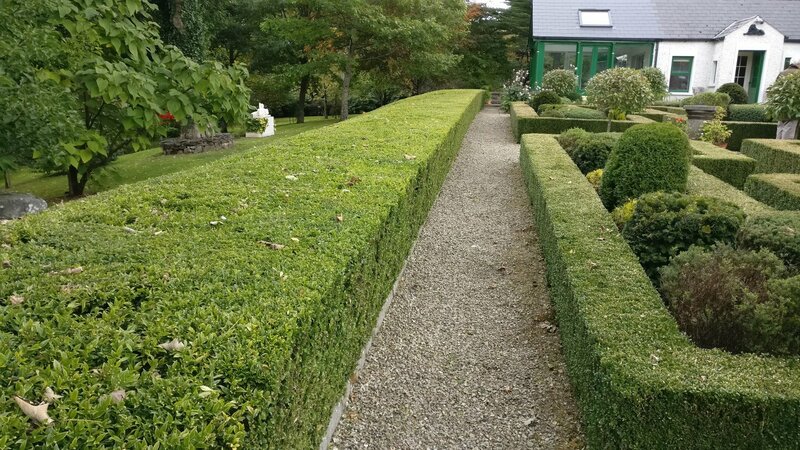 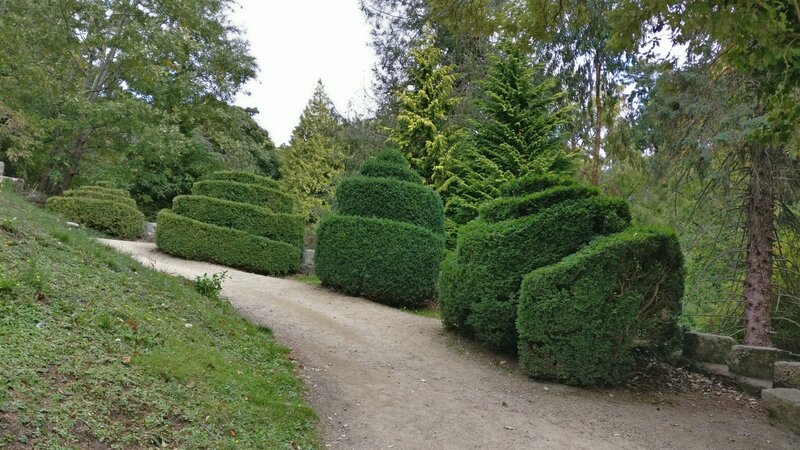 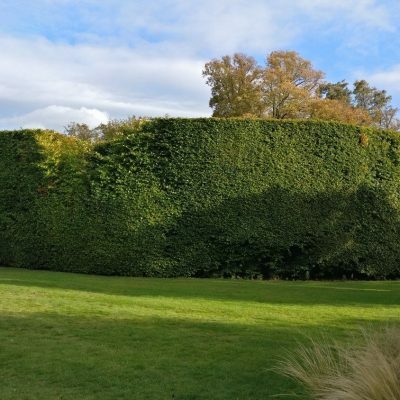 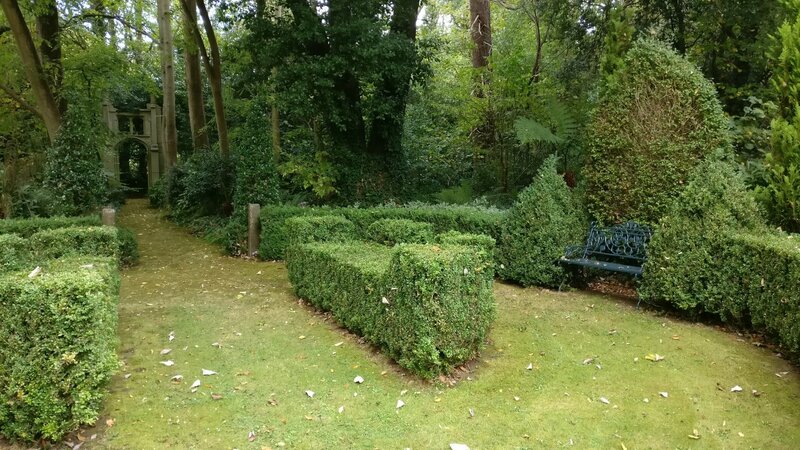 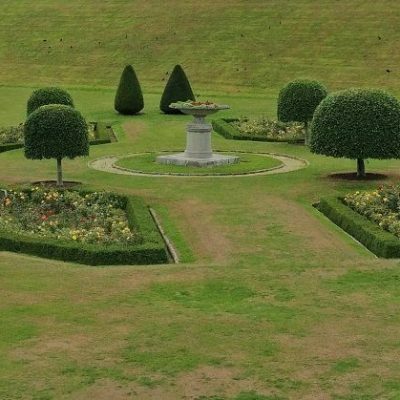 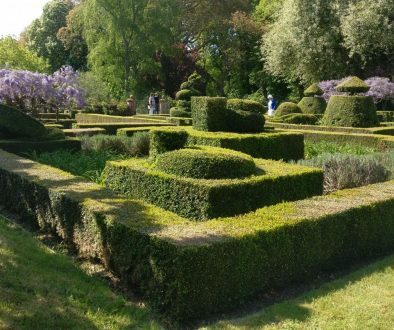 Using box hedging, dark yew cones (reminiscent of Ham House in London), variegated ‘lollipops’ bounded by bleached limes and horn beam hedging, an intricate pattern is created. 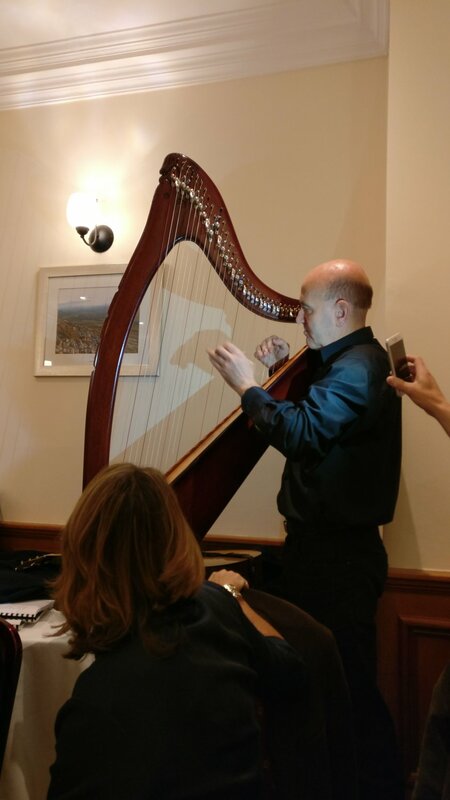 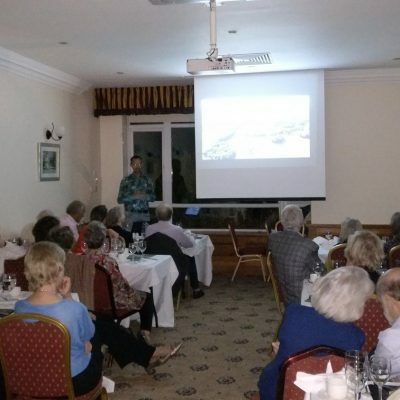 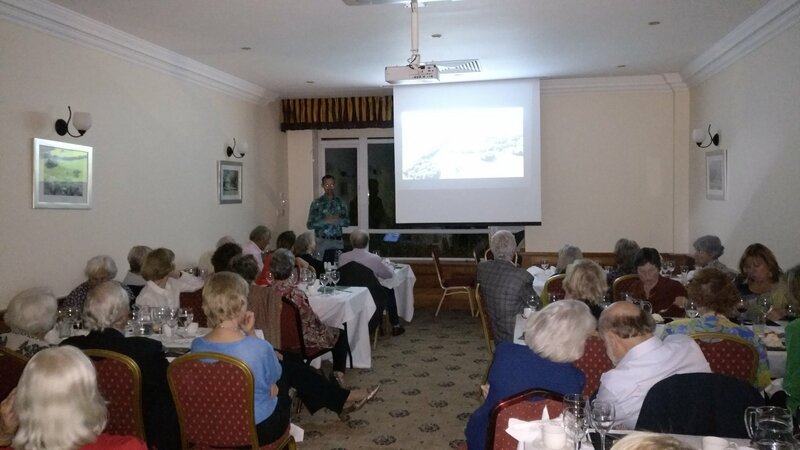 After a guided coach tour of Dublin, we went to the Glenview Hotel which was our base during our stay where we had a private evening meal with musical interludes from EBTS member Kieran Cummins and a talk by Jimi Blake. 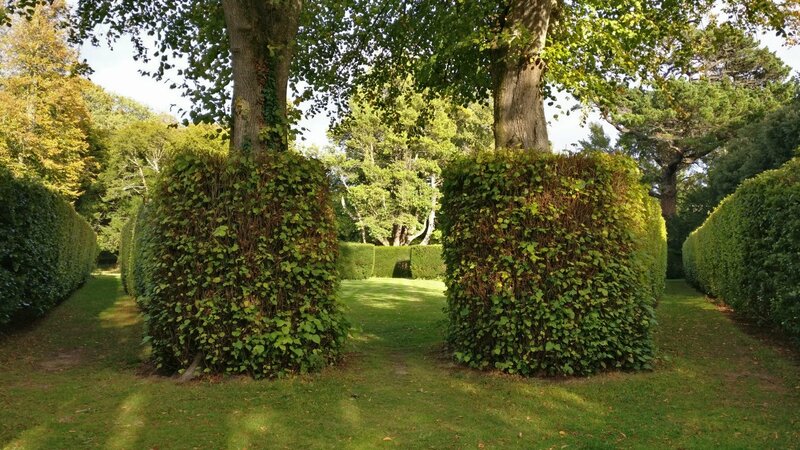 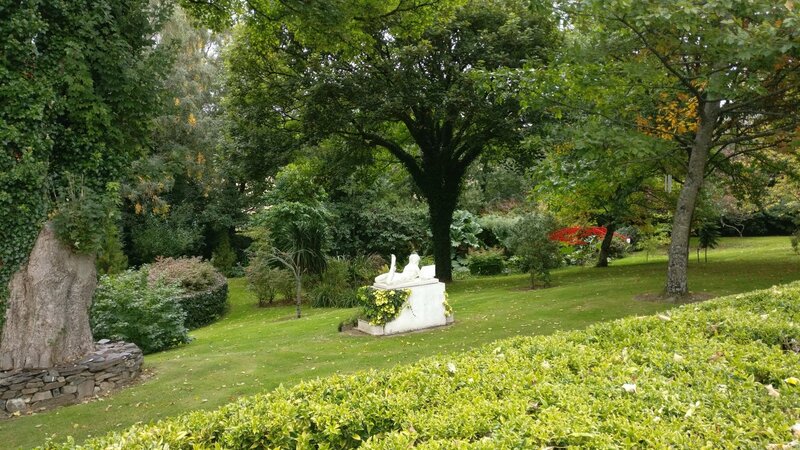 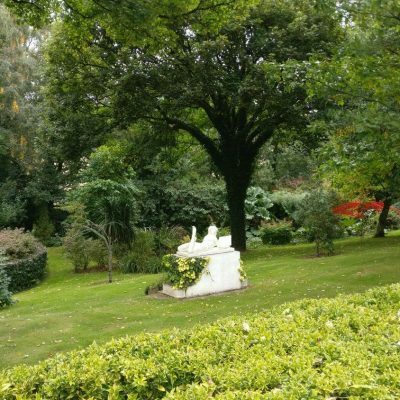 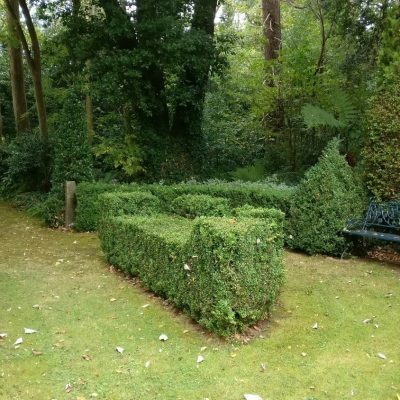 Our first stop was Corke Lodge a fine Regency home with a romantic green garden hidden from the approach by hedging and the house. 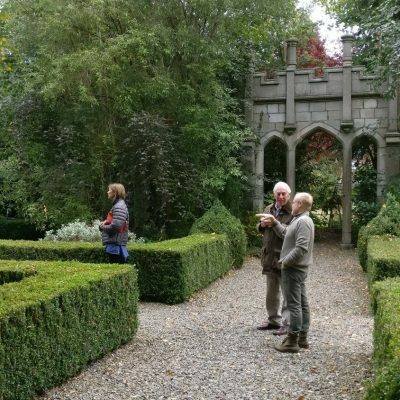 Once inside Alfred Cochrane, the owner and designer took us round the William Farrell design that had tried to create a little bit of an Italian seaside villa in the Irish countryside. 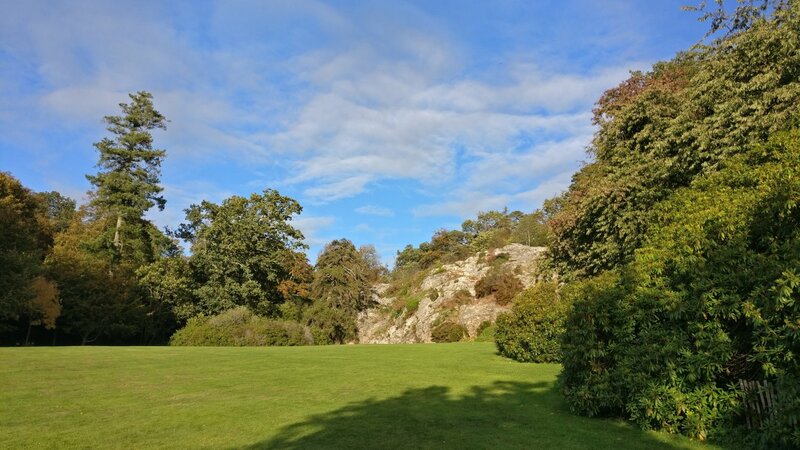 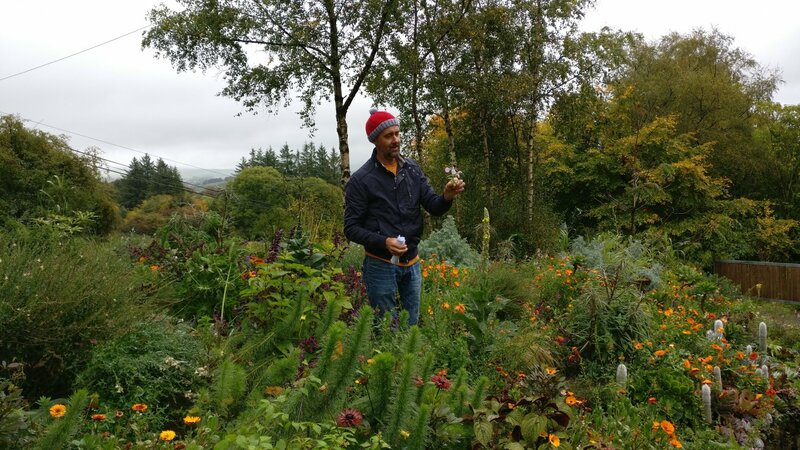 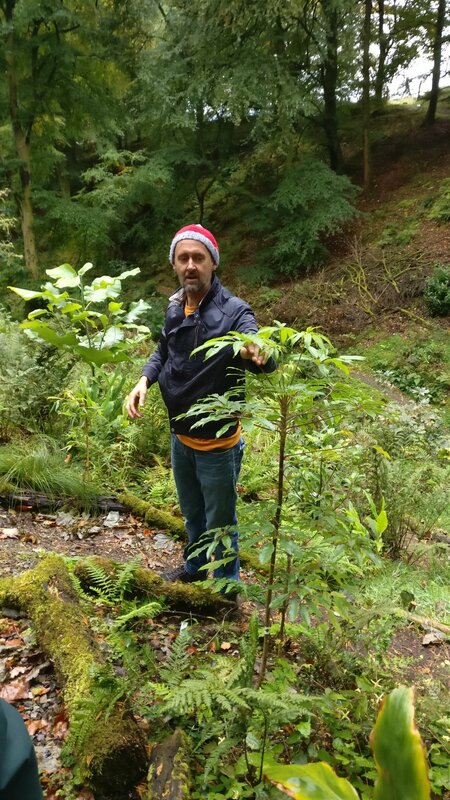 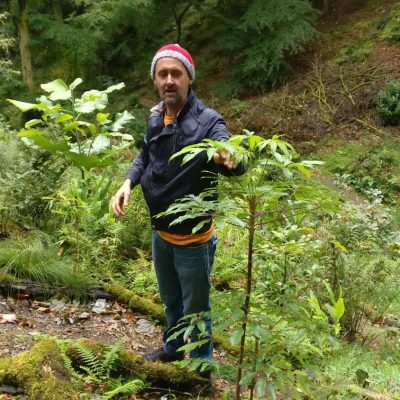 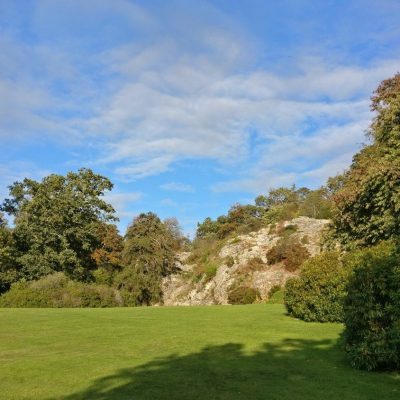 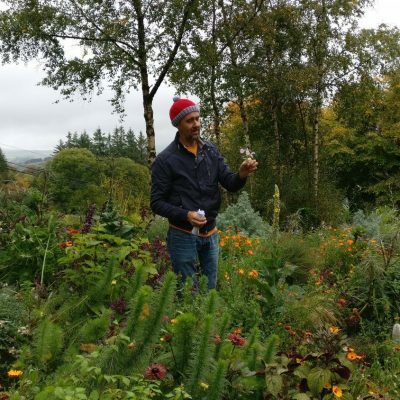 When Alfred took over looking after the property, he restored it, with a little help from a then younger Diarmuid Gavin, who lives nearby. 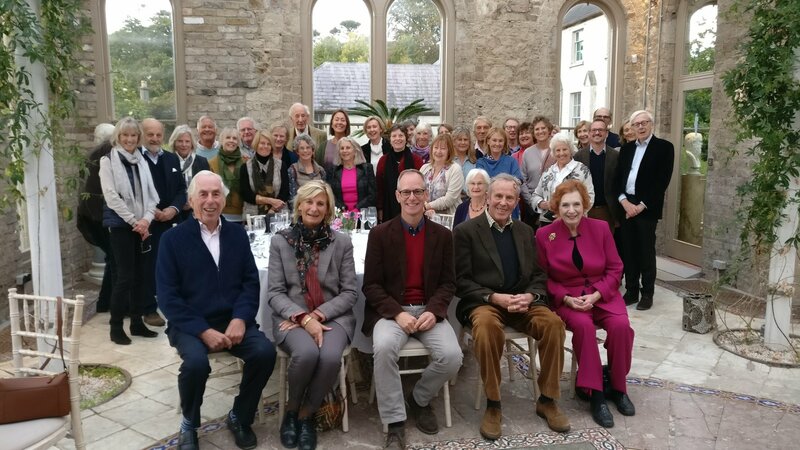 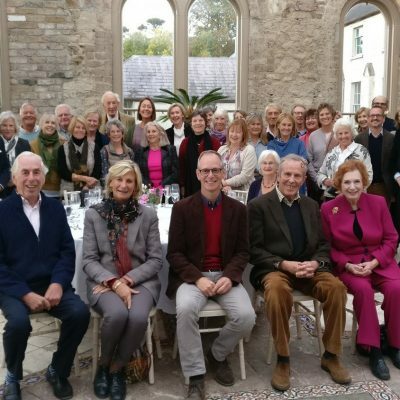 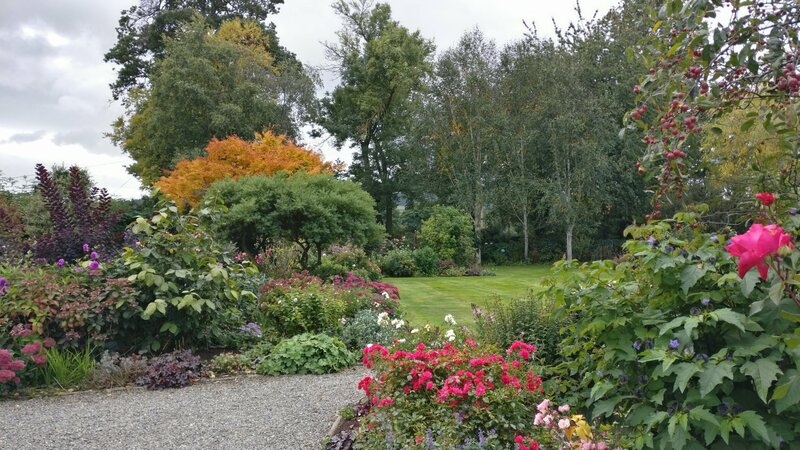 We then had the opportunity to wonder round a beautiful garden and were treated to a wonderful lunch at the private house of a friend of our host Charlotte Maclean. 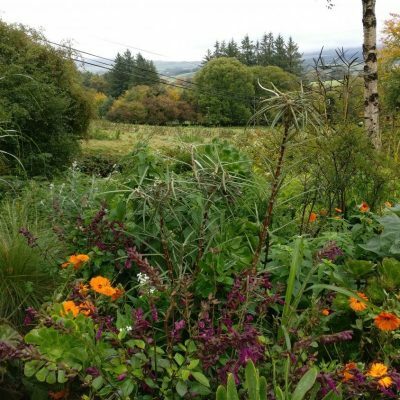 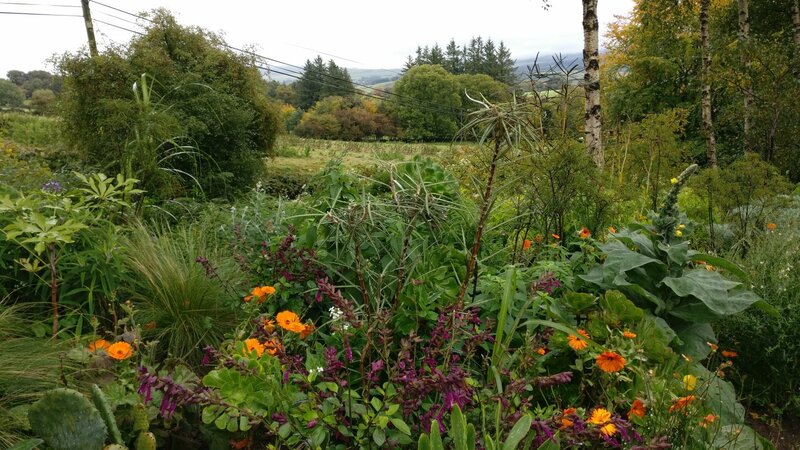 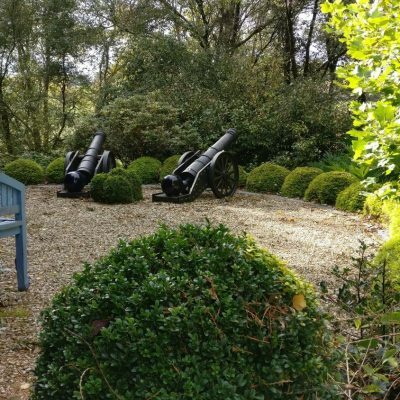 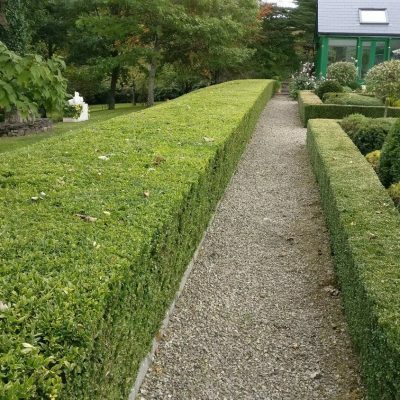 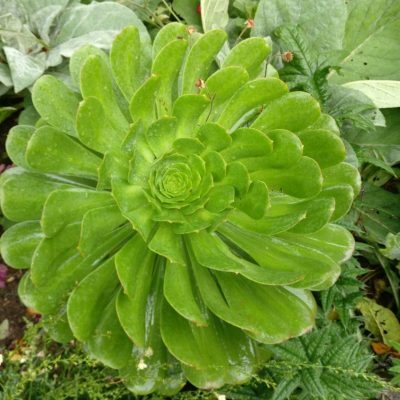 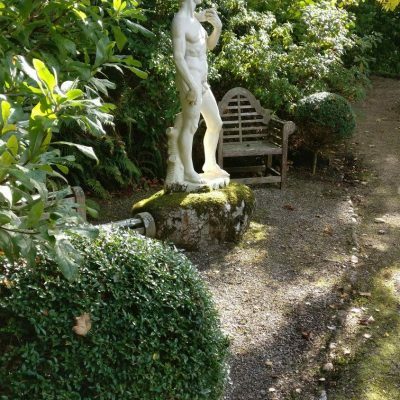 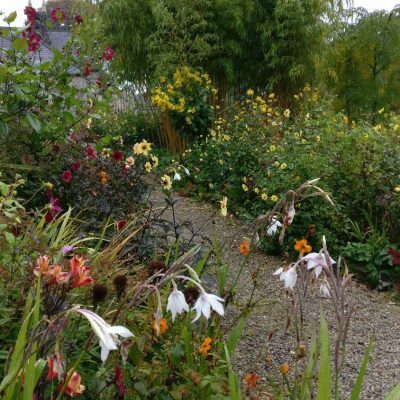 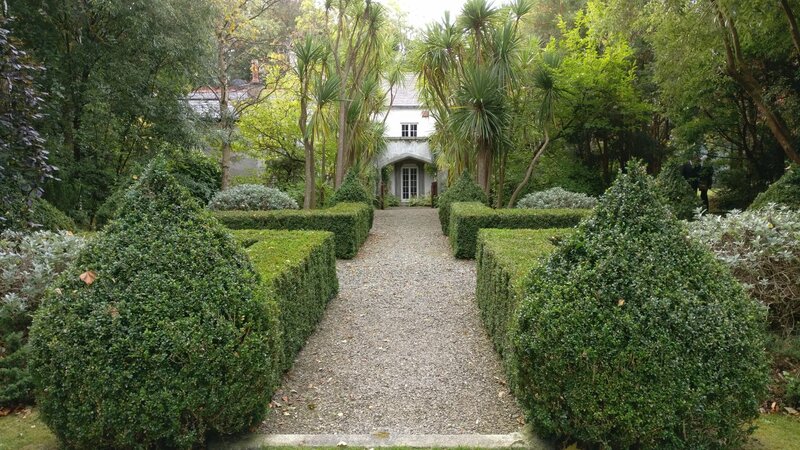 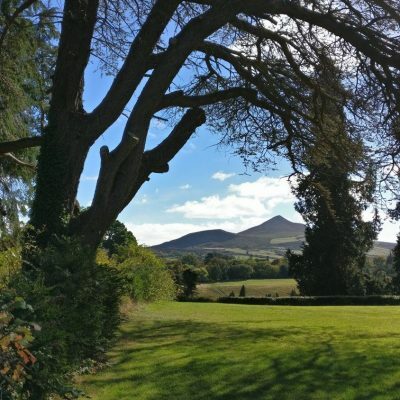 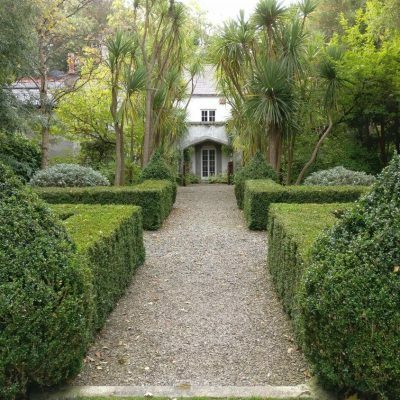 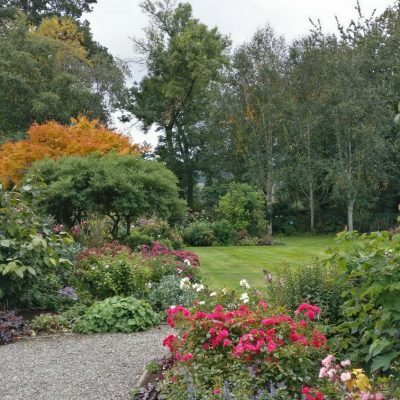 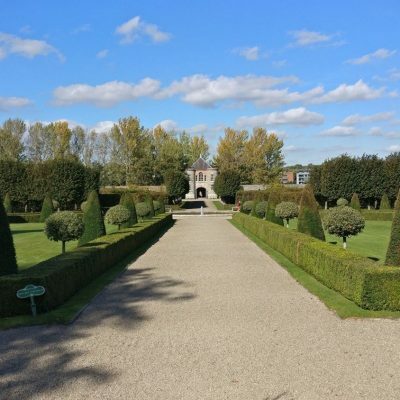 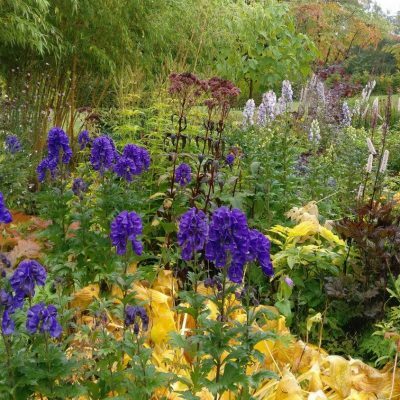 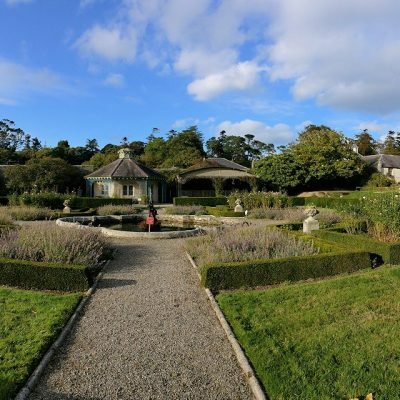 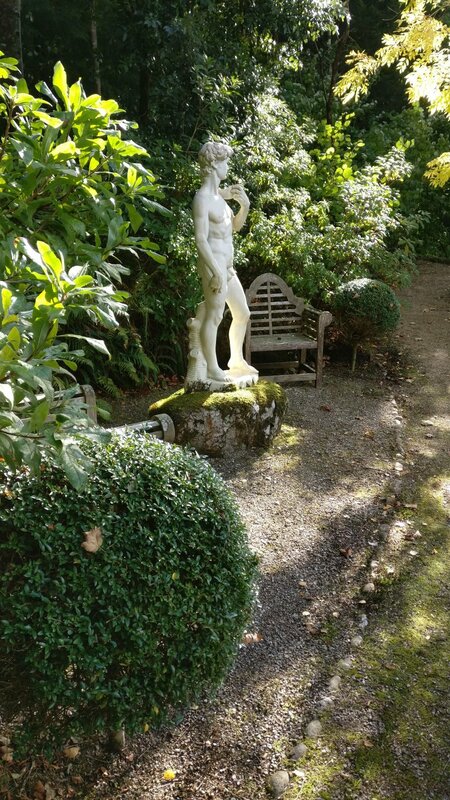 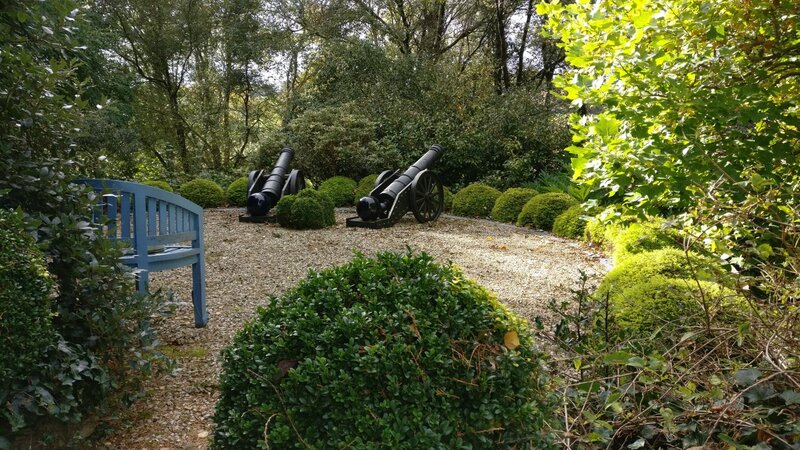 Knockanree is a private garden developed since 1995 to create a haven of peace in County Wexford. 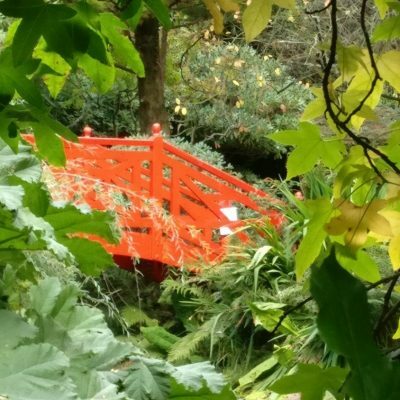 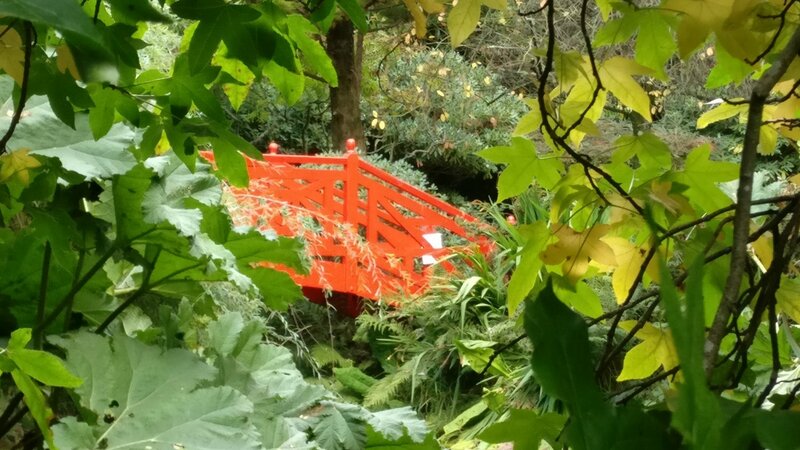 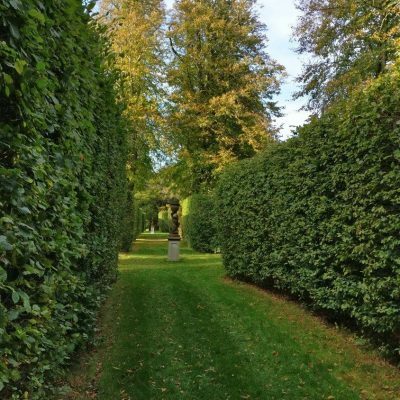 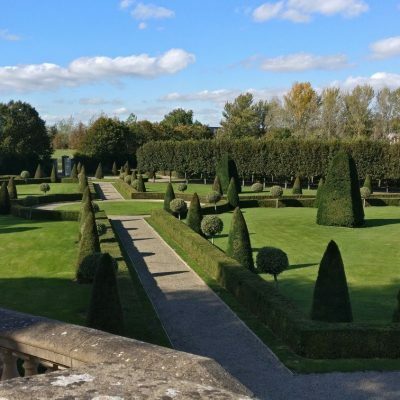 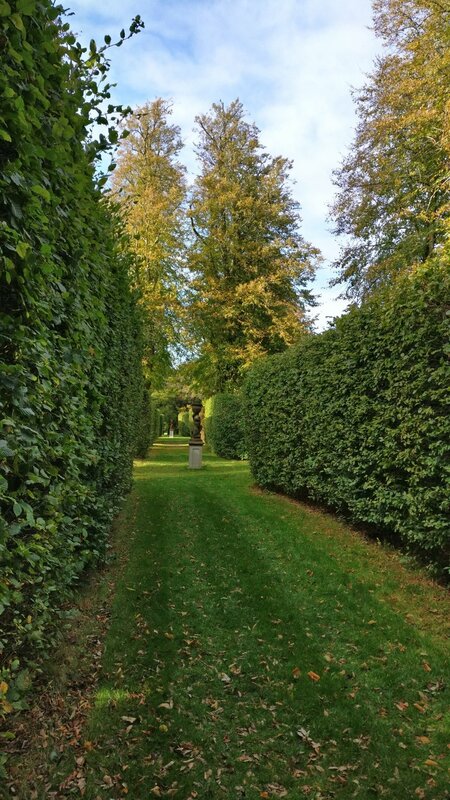 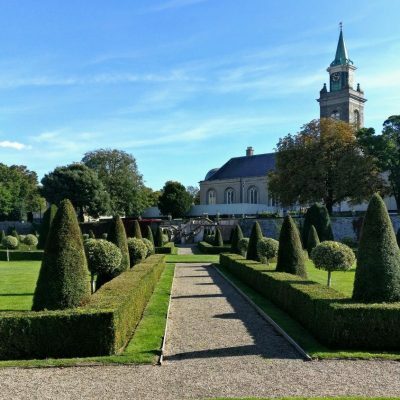 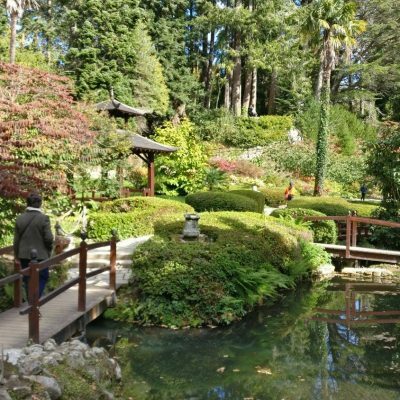 It encompasses a number of styles including features of a Japanesse stroll garden, woodland walk along the stream and boxwood hedges between the main and guest houses. 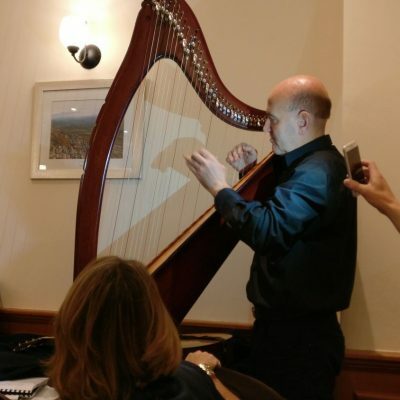 In the evening the group visited a traditional Irish pub for dinner and a little dancing. 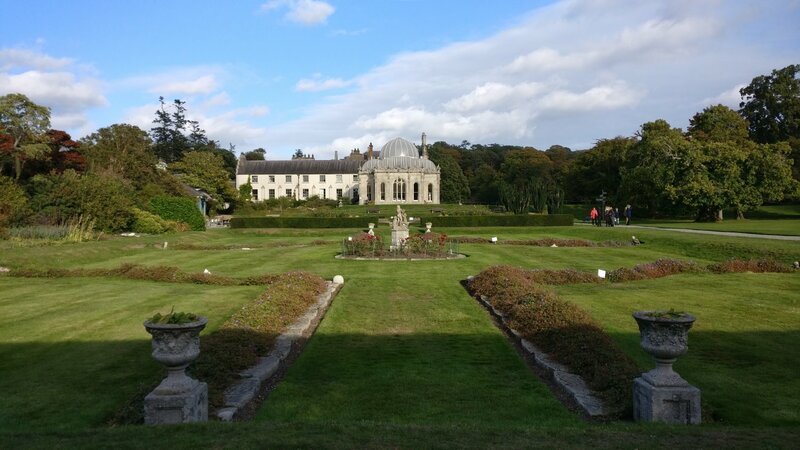 First we visited Charleville House, a truly magnificent Palladian style villa built by Charles Stanley Monck in 1797. 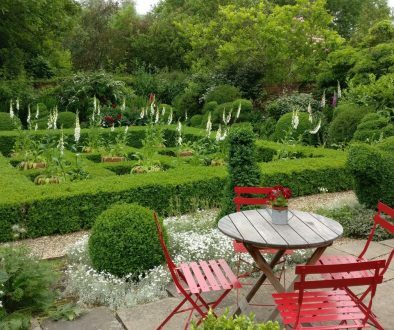 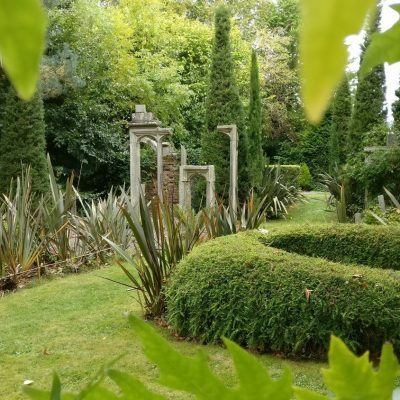 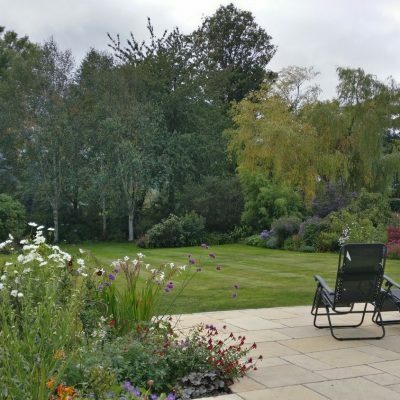 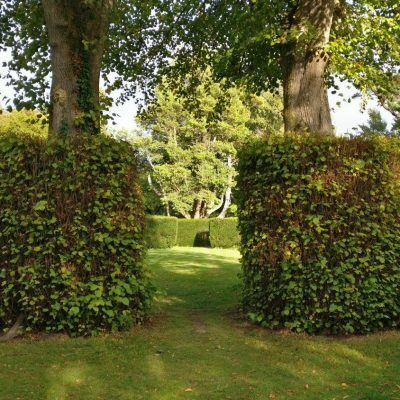 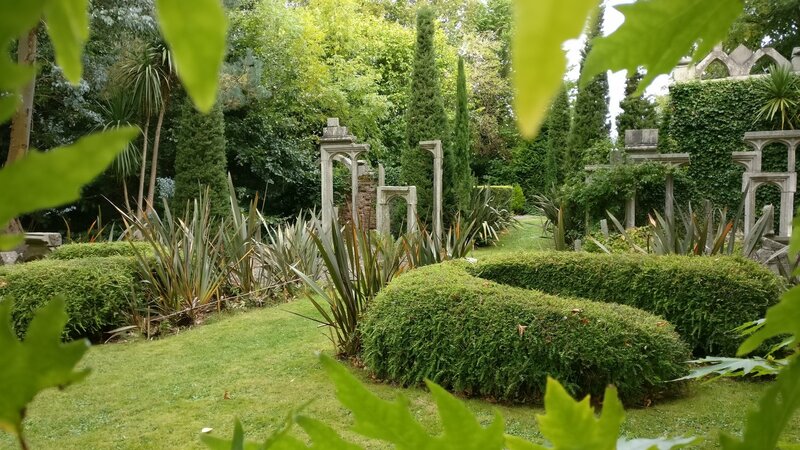 You enter the garden through a gate in the wall and from that moment on you are lead through a variety of amazing garden rooms, with clipped yew and box and incredibly varied planting by owners who clearly enjoy spending time in their garden. 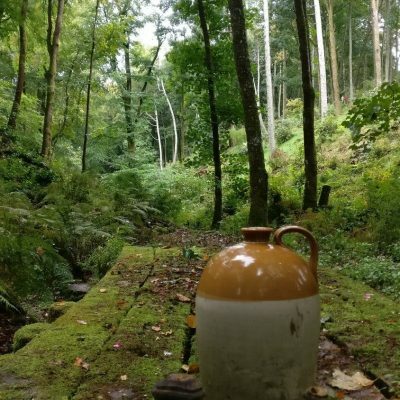 We hope to be able to share some pictures either here or in the 2019 edition of Topiarius. 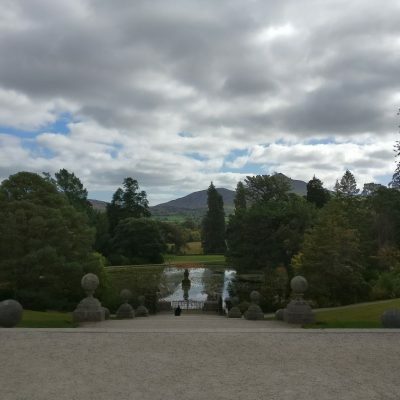 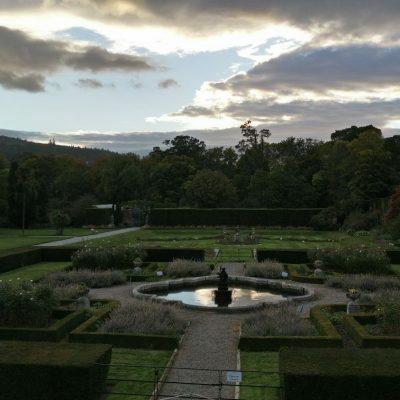 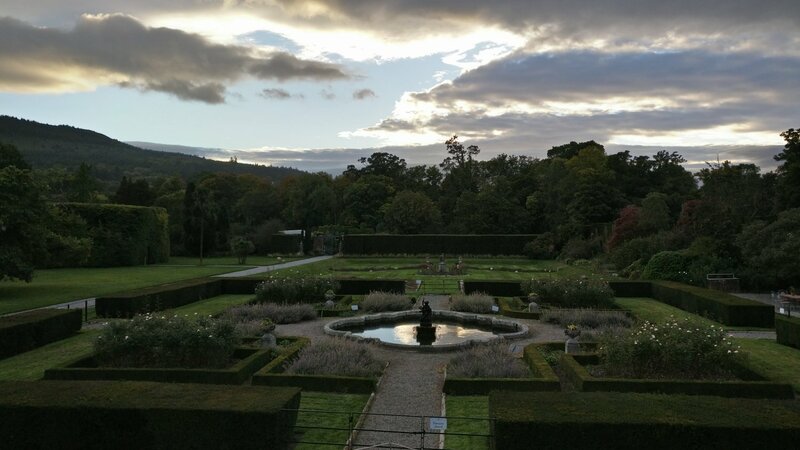 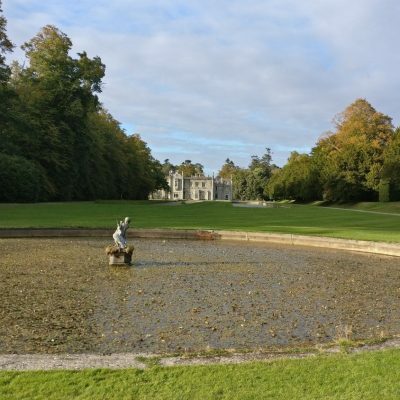 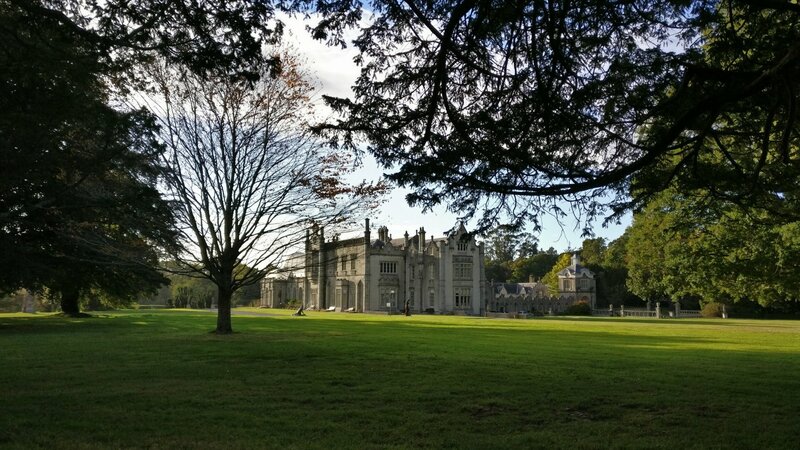 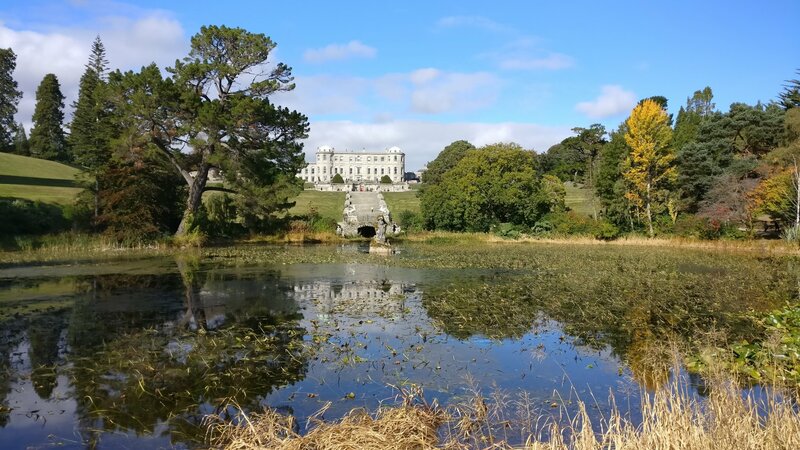 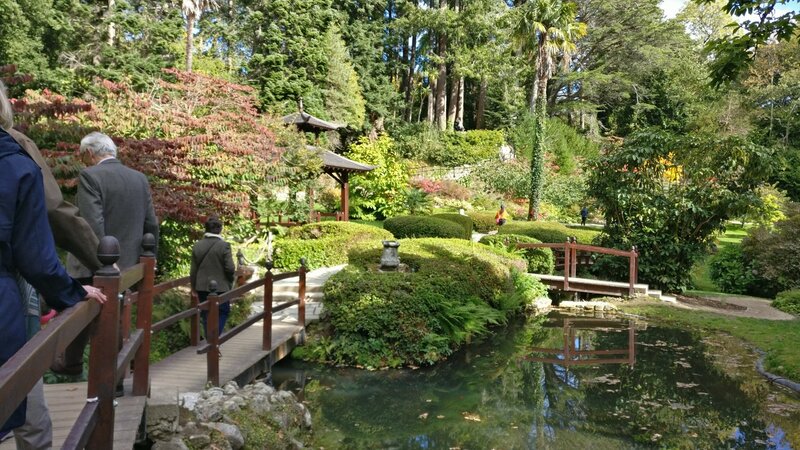 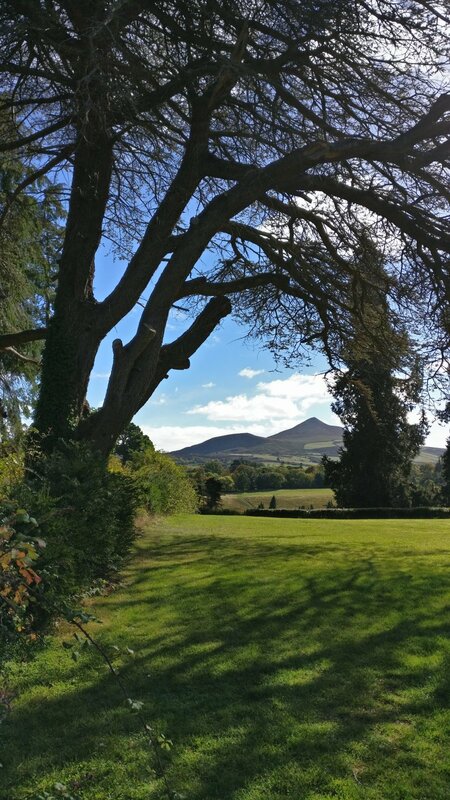 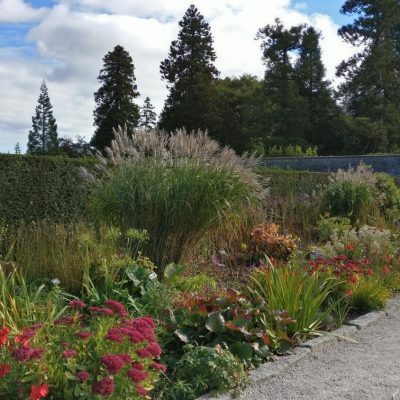 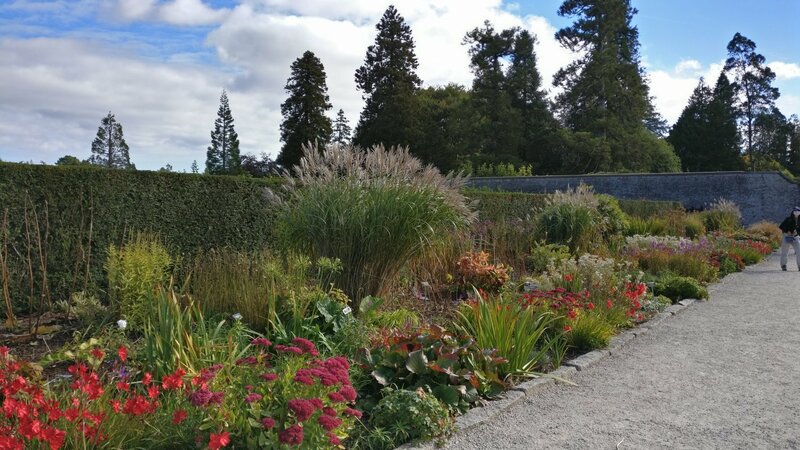 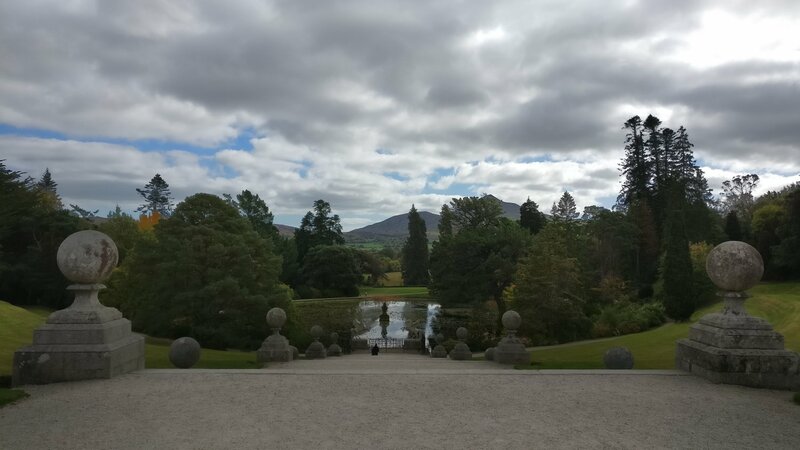 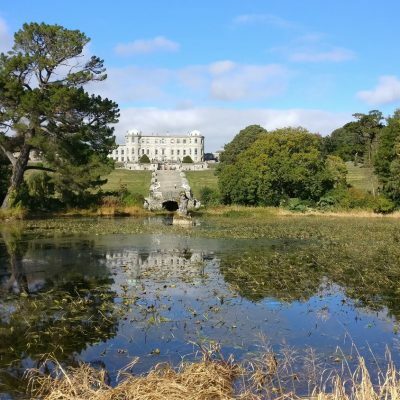 Nearby Powerscourt estate contains Italian and Japanese themed gardens, herbacious borders, ornamental lakes and an extensive tree collection. 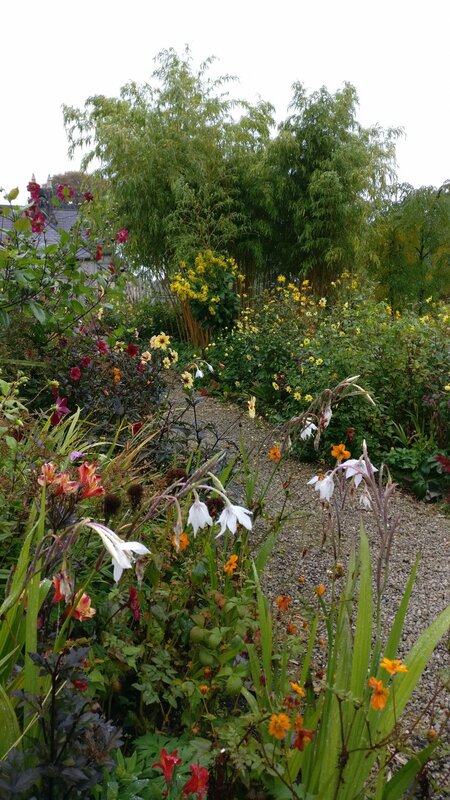 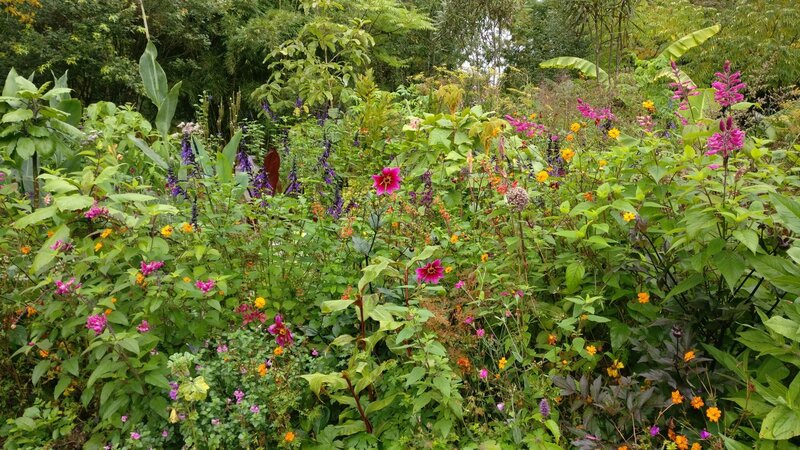 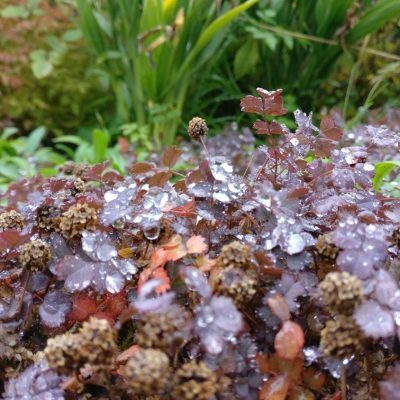 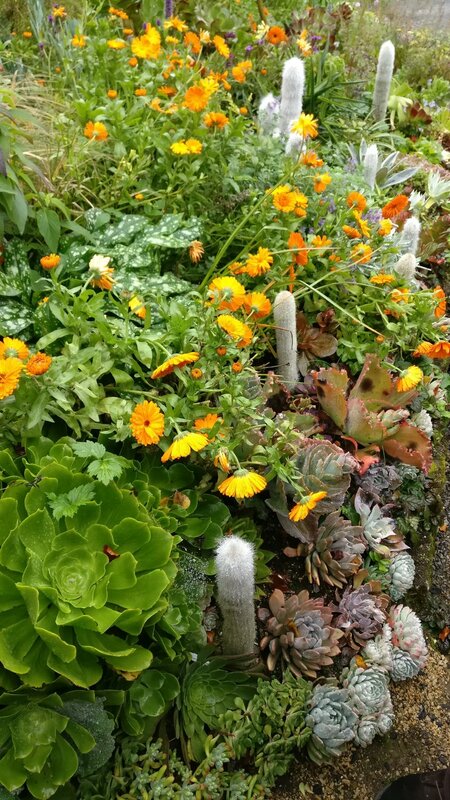 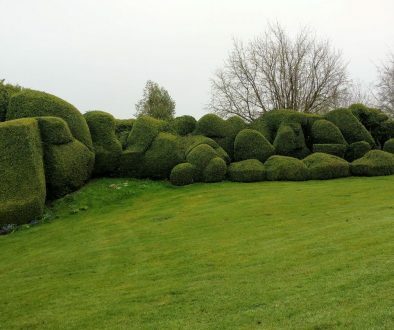 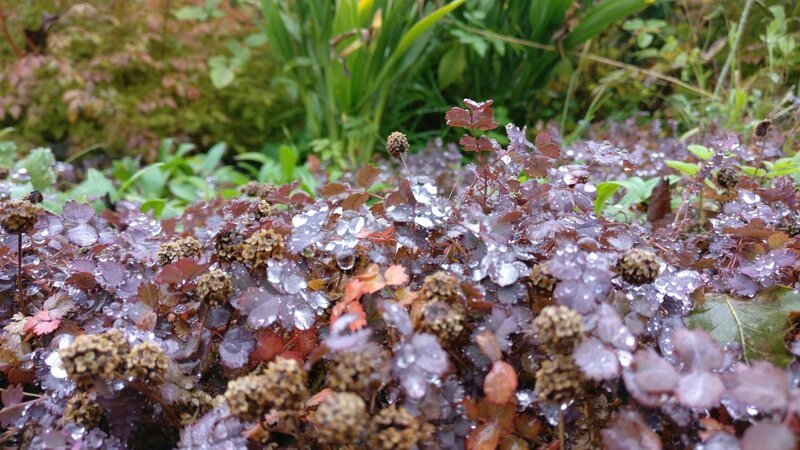 This busy garden is mainly the work of Daniel Robertson. 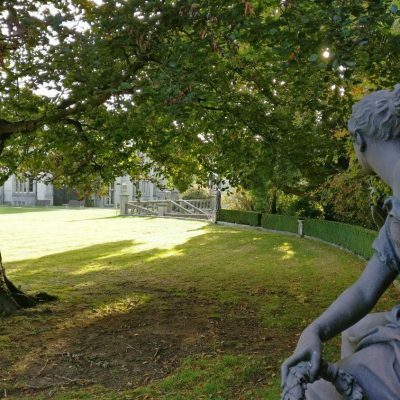 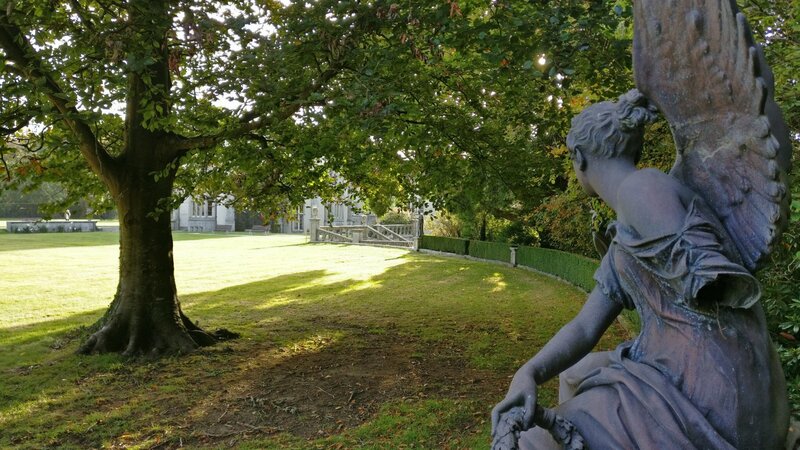 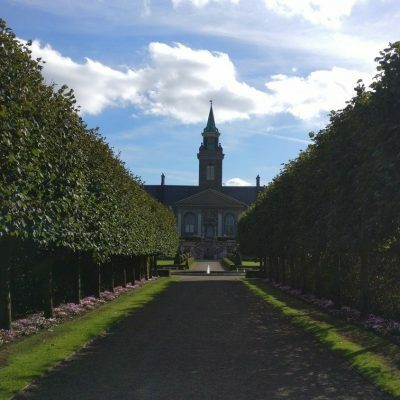 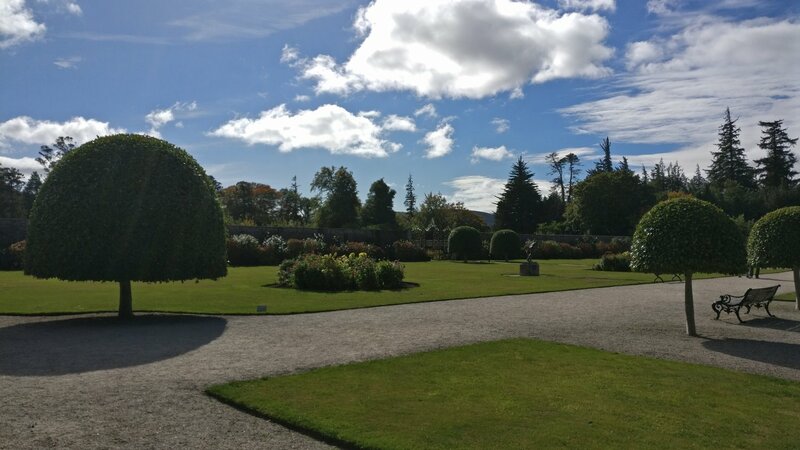 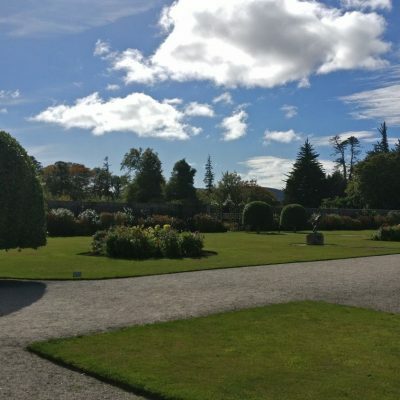 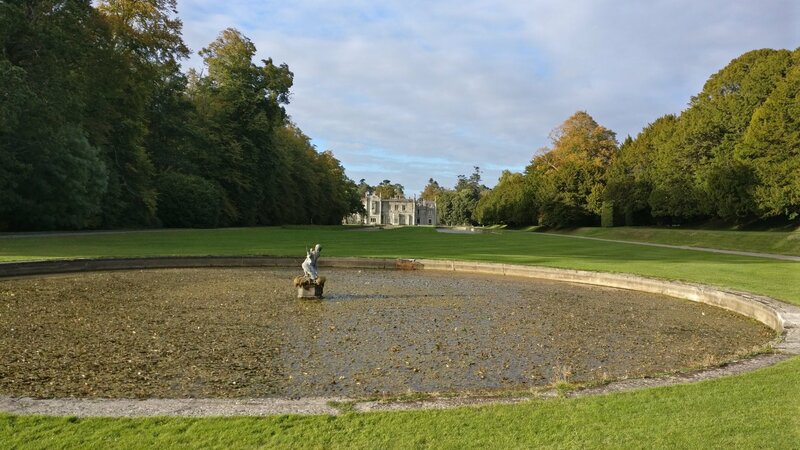 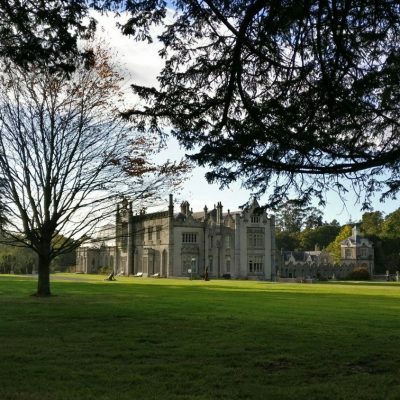 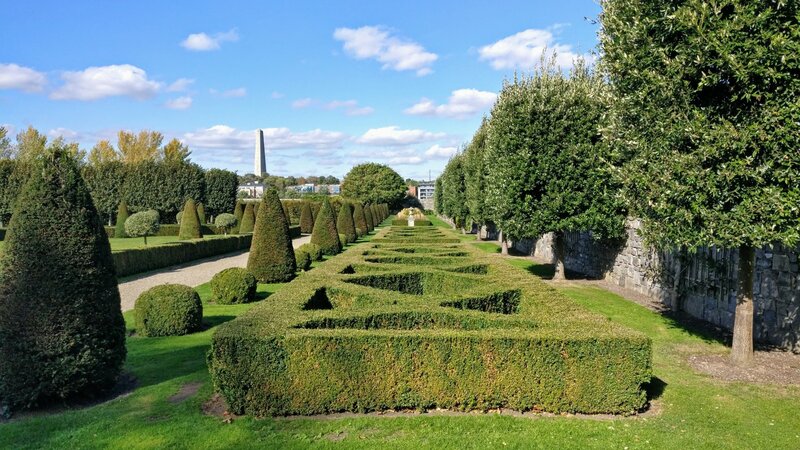 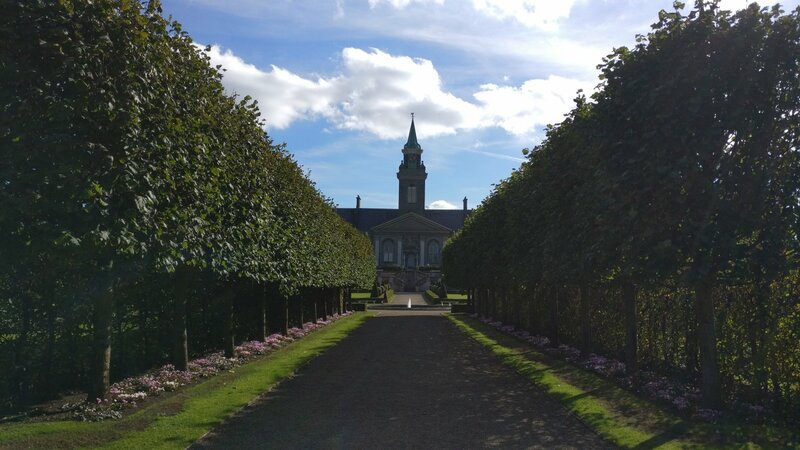 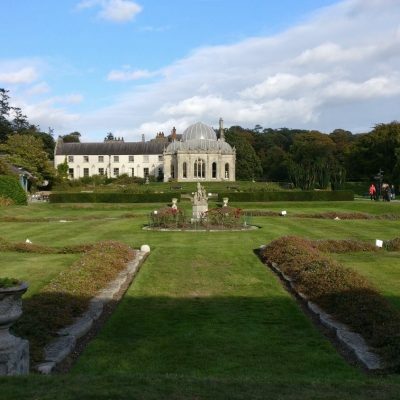 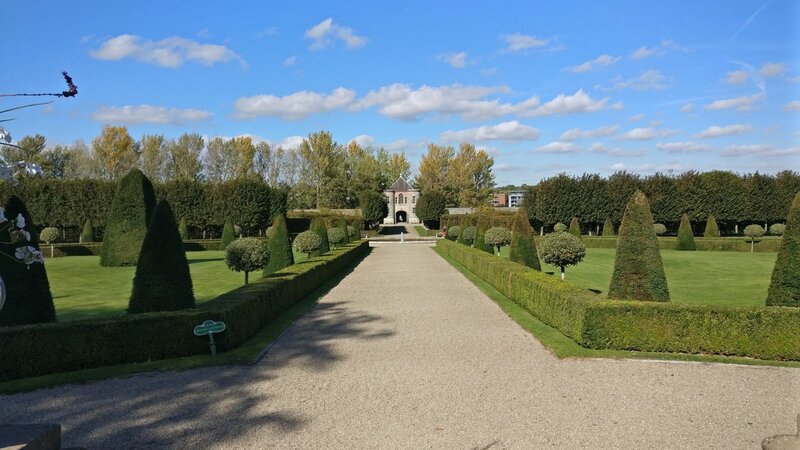 Our last garden of the day was Killruddery, a living working house, garden and farm home to sixteen generations of the Brabazon family. 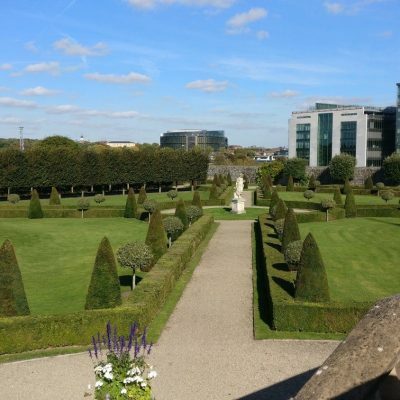 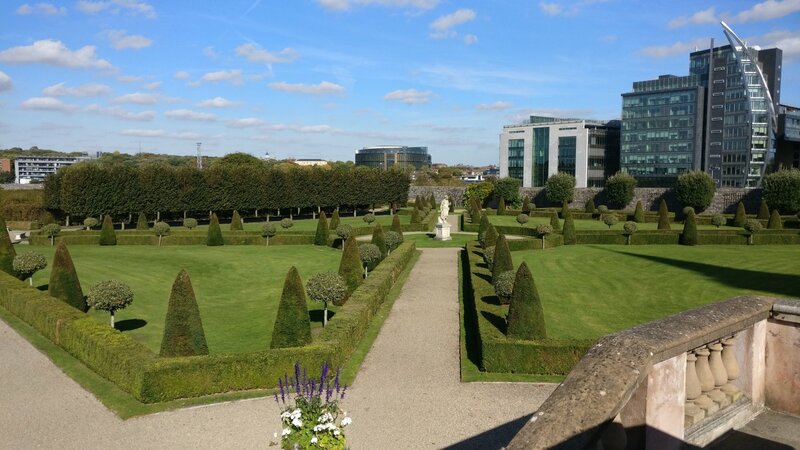 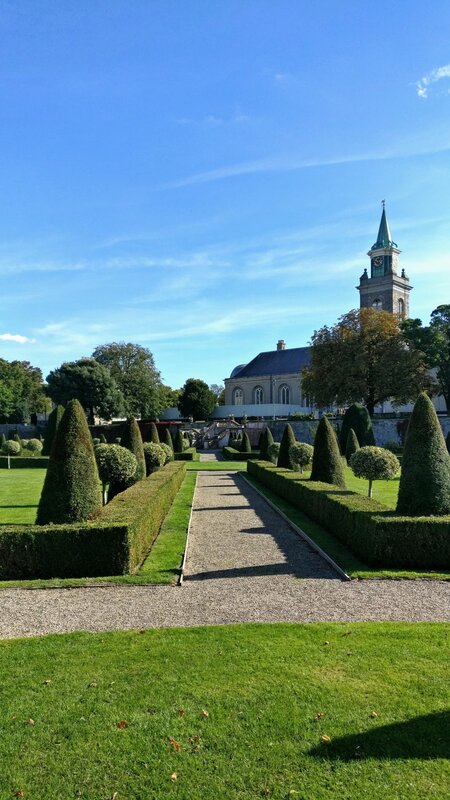 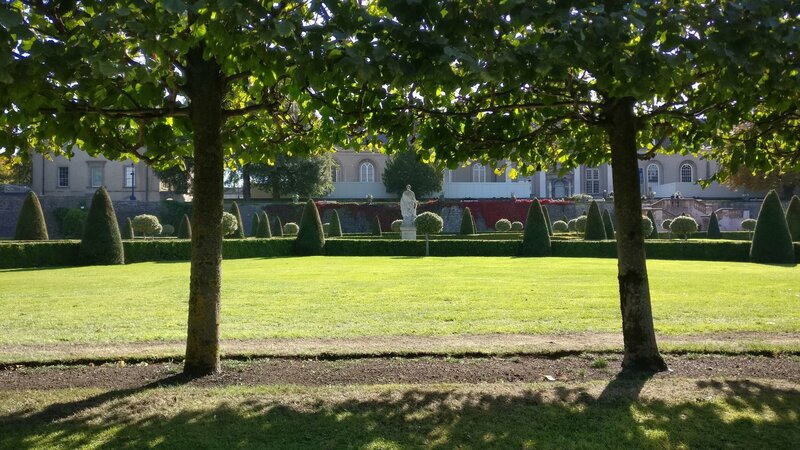 We were greeted by the Countess of Meath who gave us a brief history of the house before we went exploring in the gardens, said to be modeled on the Palace of Versailles. 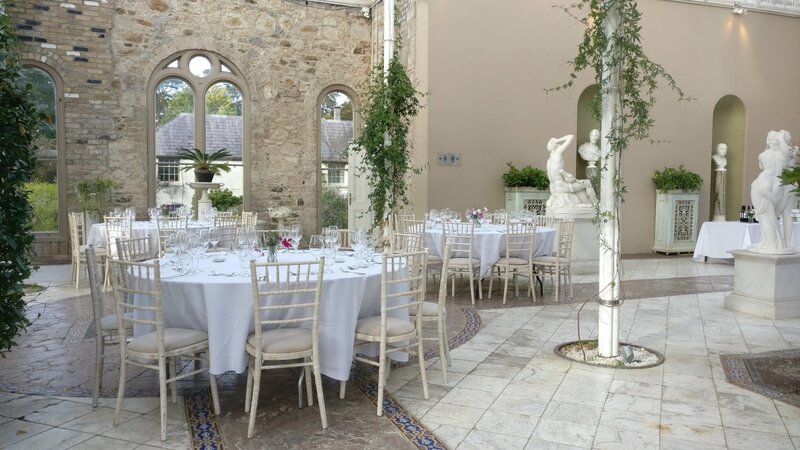 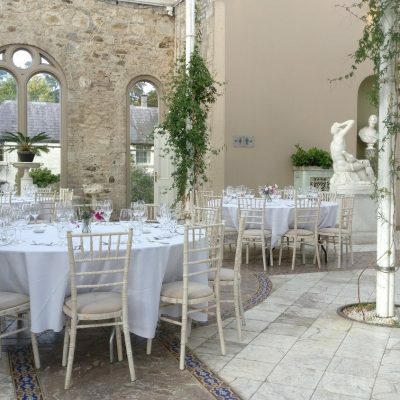 With the sun setting the 15th Earl of Meath welcomed us into the orangery for a delightful dinner. 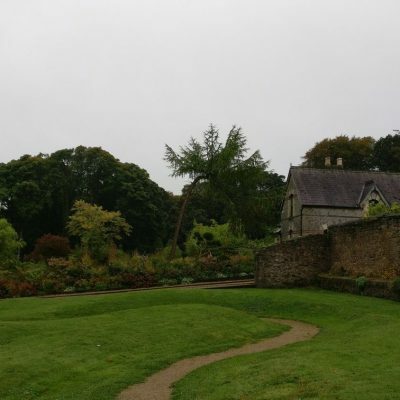 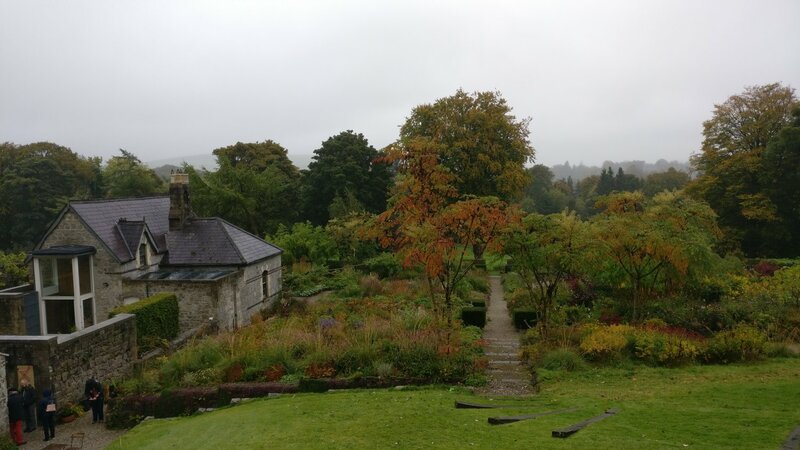 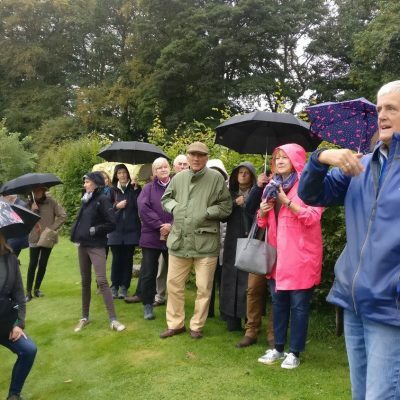 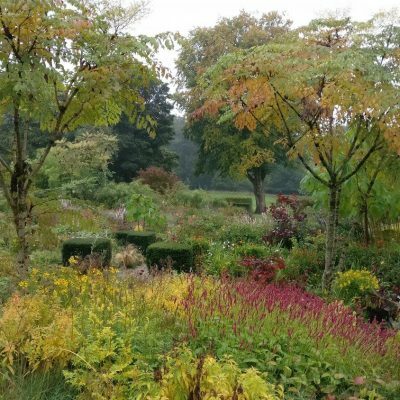 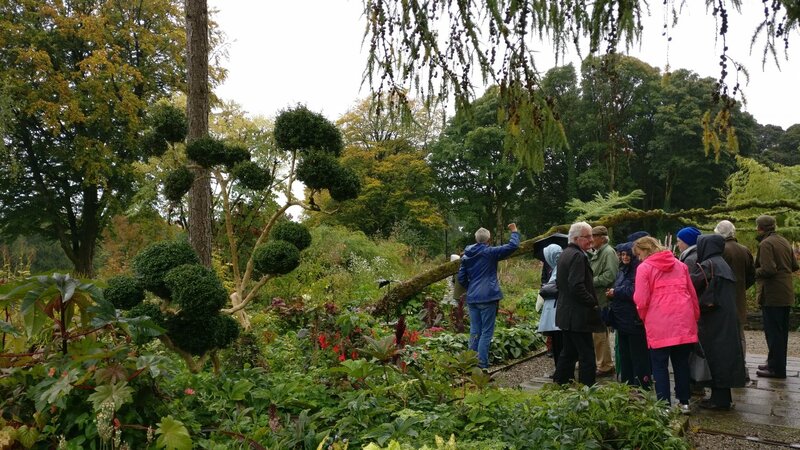 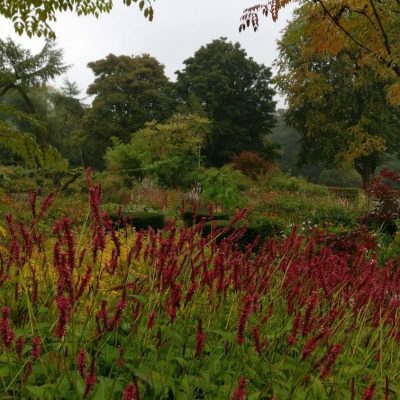 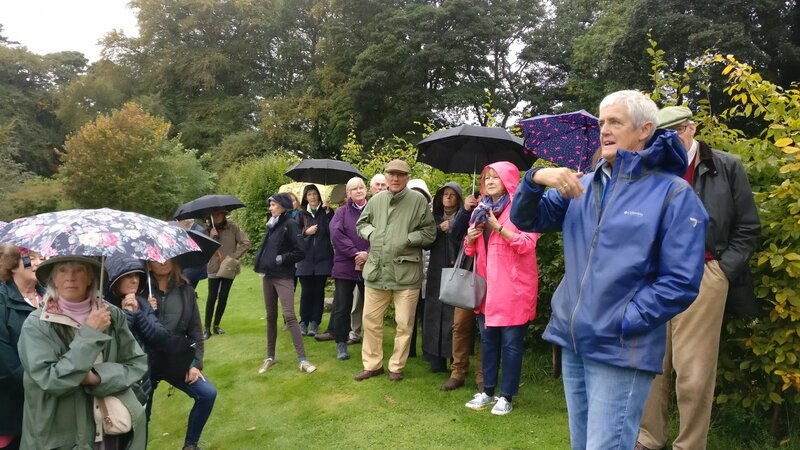 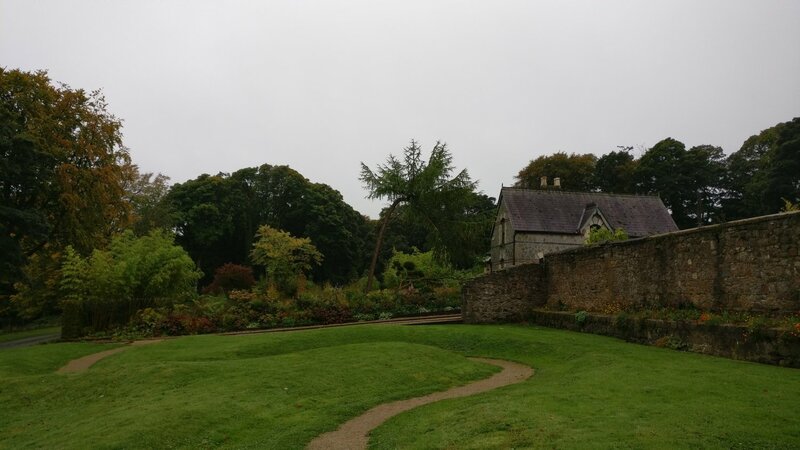 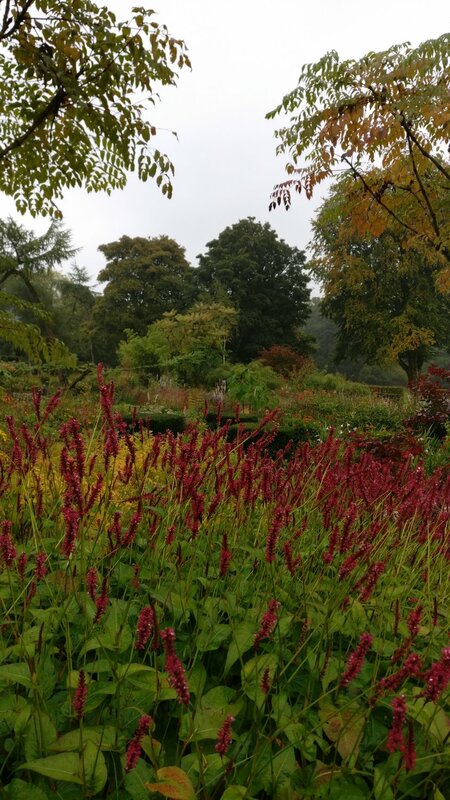 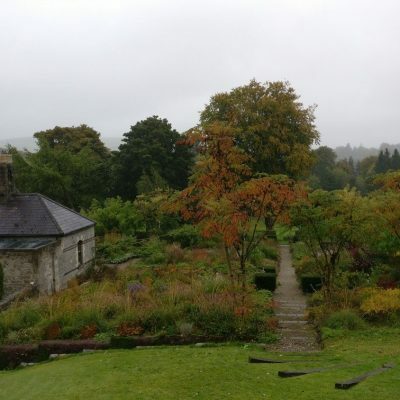 The weather was not so great for our visit to two gardens owned by two members of the same family, the Blake’s. 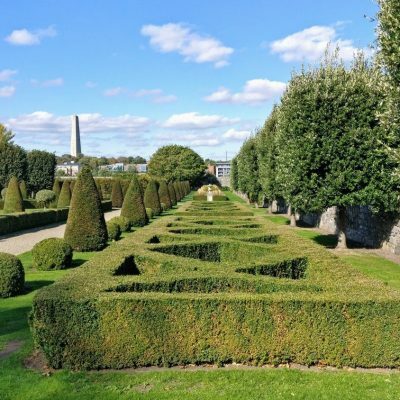 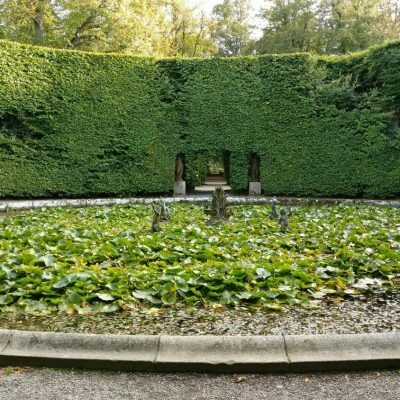 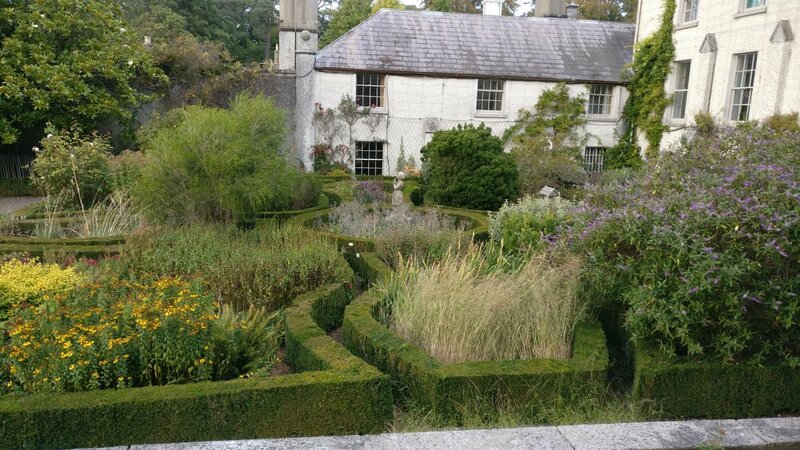 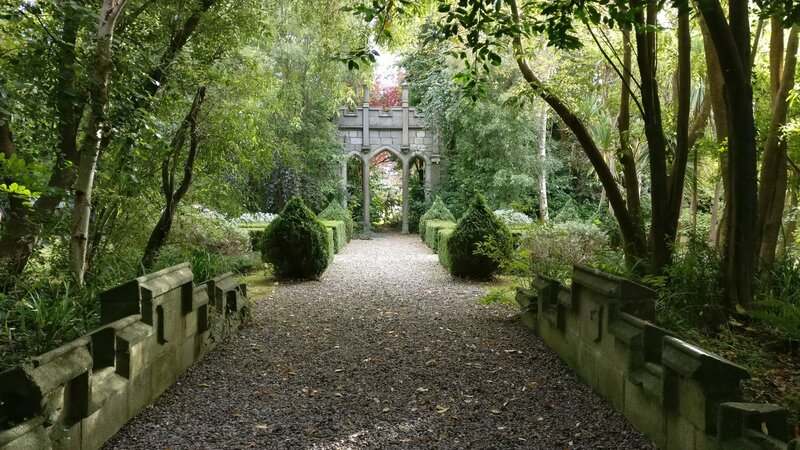 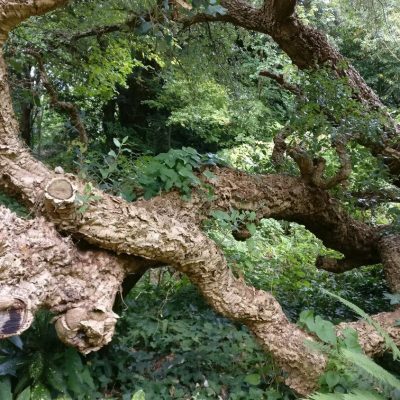 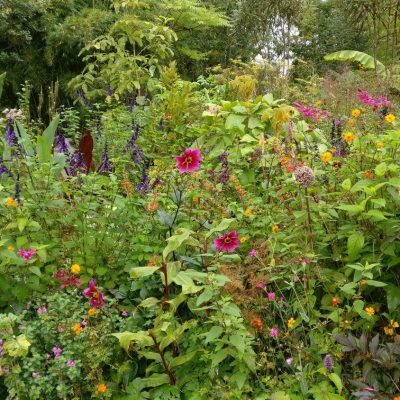 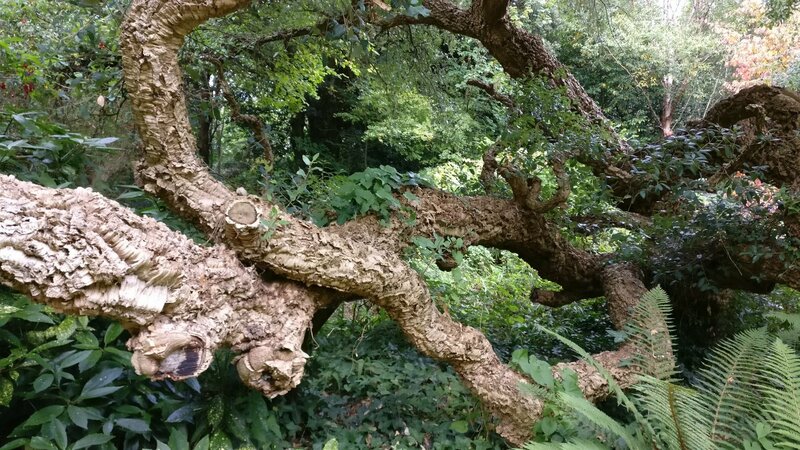 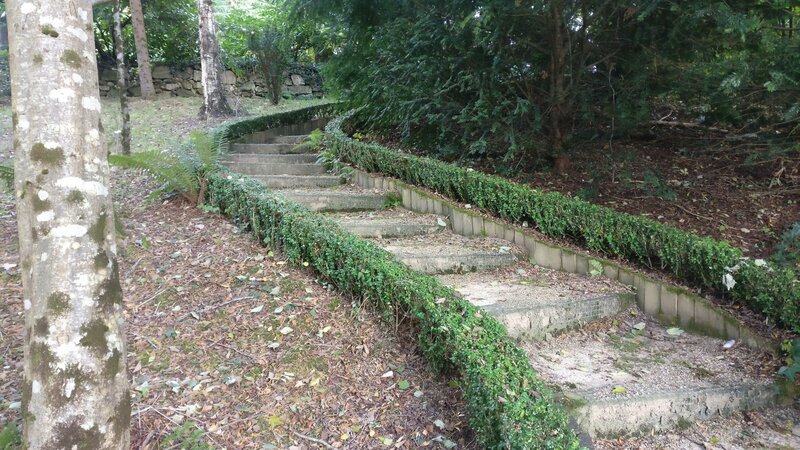 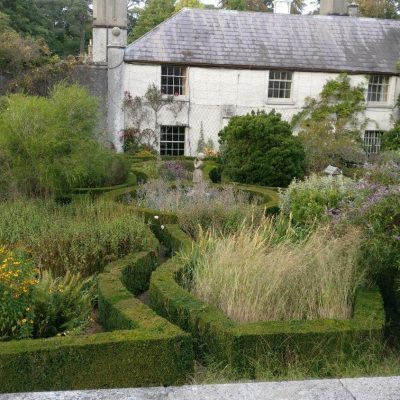 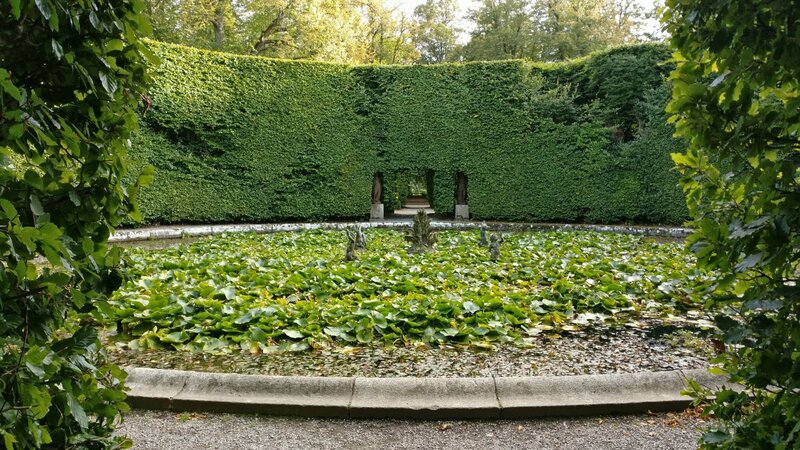 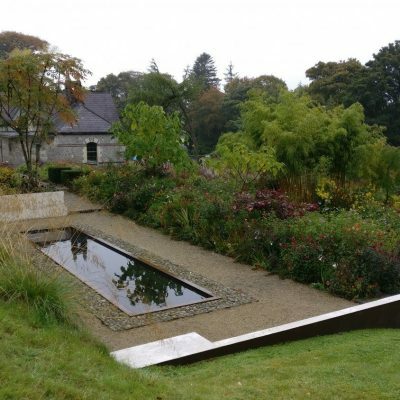 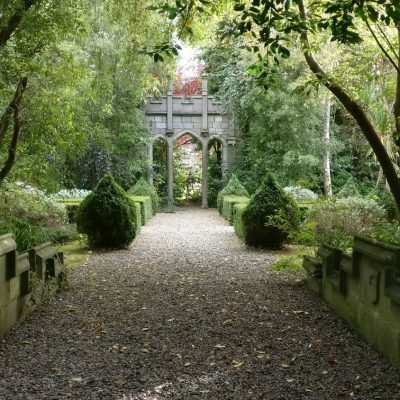 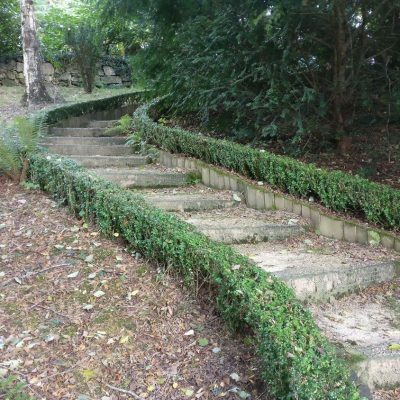 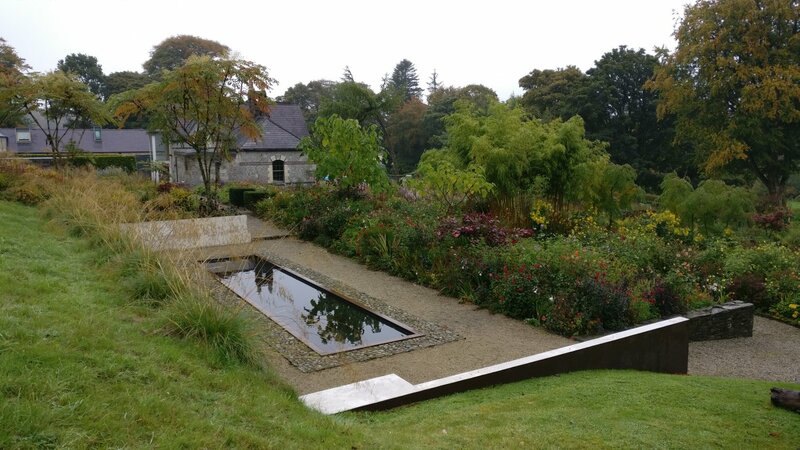 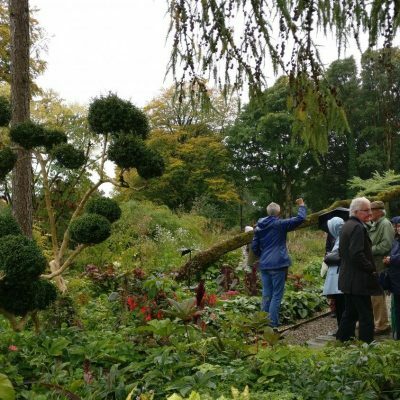 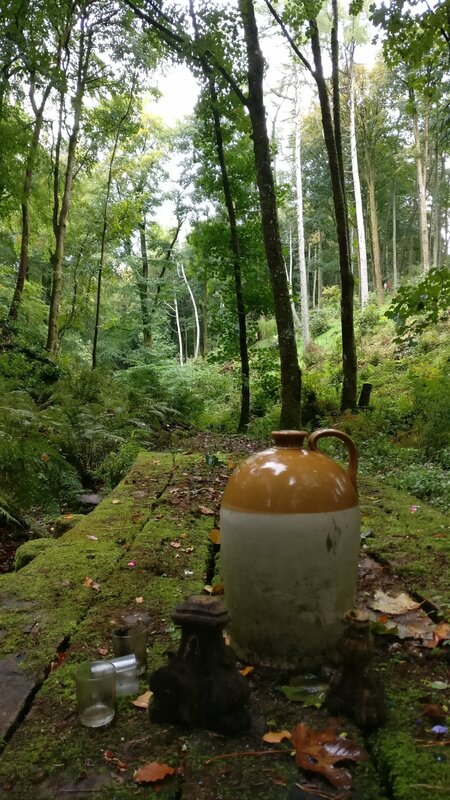 The second Blake family member of the day was Jimi and one of Ireland’s most compelling contemporary gardens – Hunting Brook. 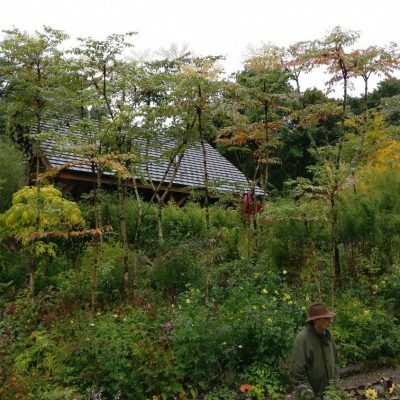 Spread over 15-acres of dense woodland, Jimi continuously adds new areas and rebuilds borders. 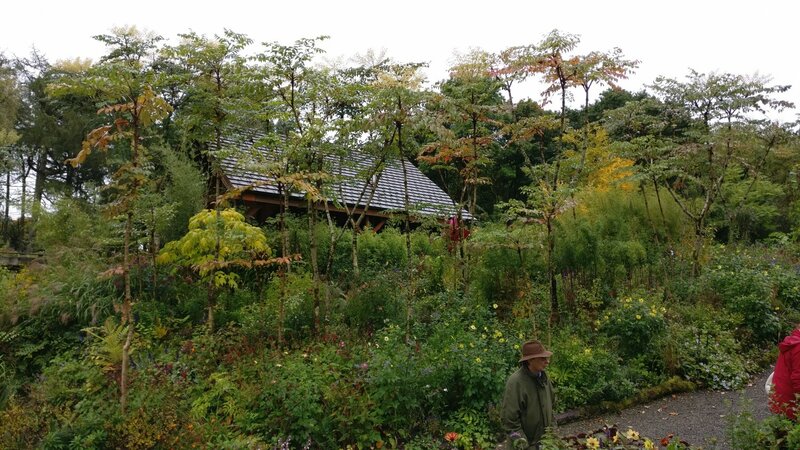 Jimi’s enthusiasm and knowledge was captivating and made us all forget about the weather, though it was great to get inside his Polish style log cabin’s conservatory for lunch before we made our way back to the airport and home to the UK. 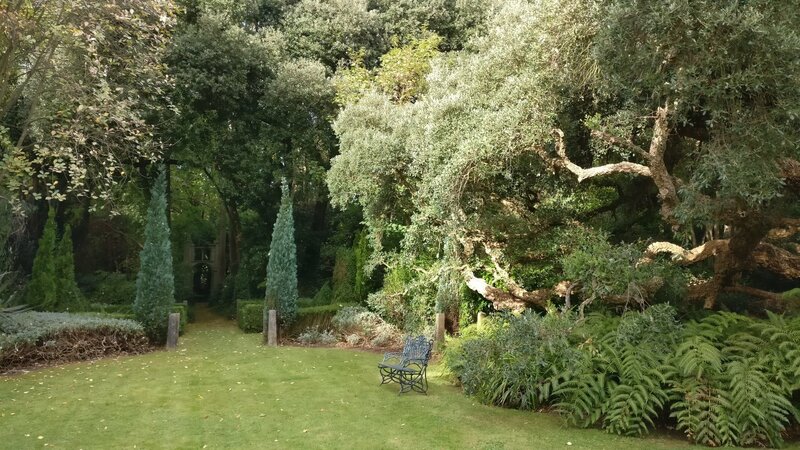 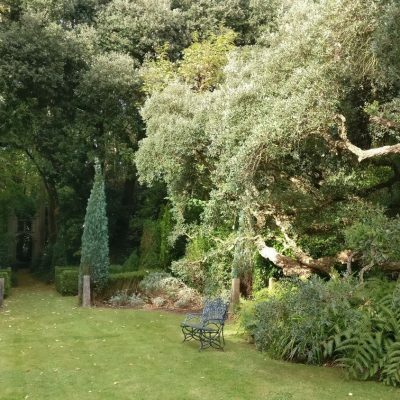 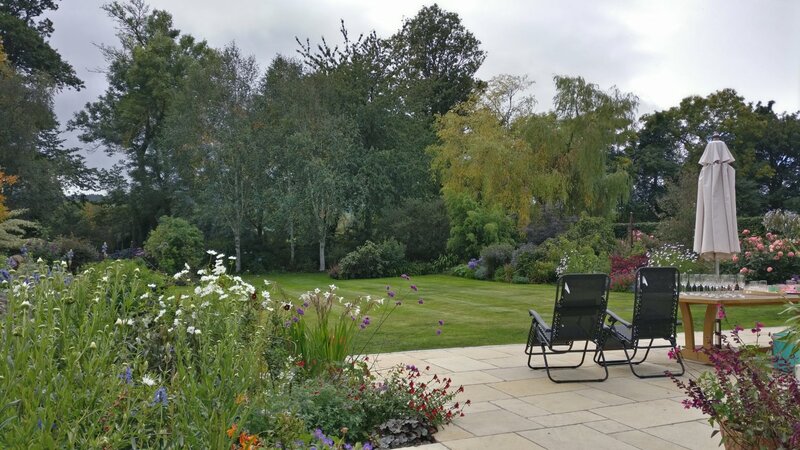 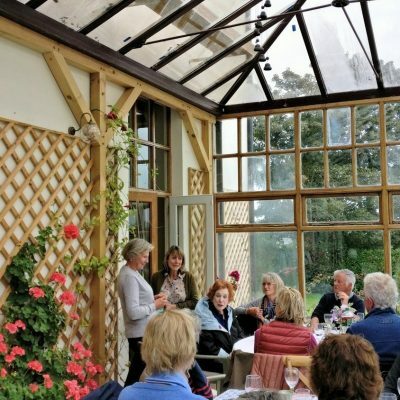 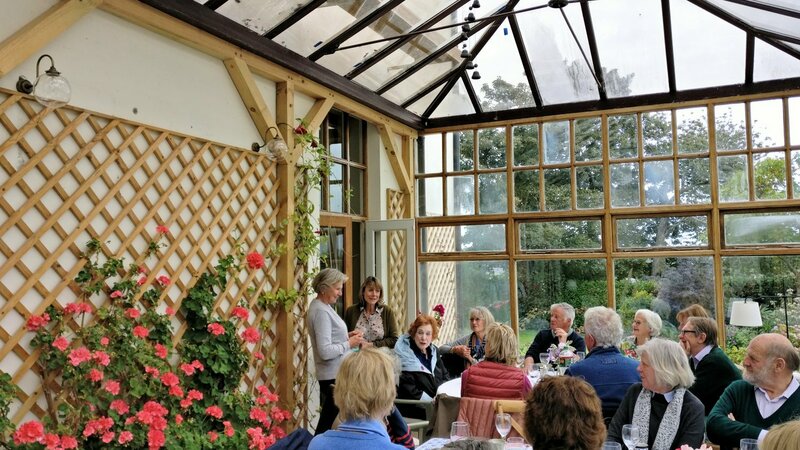 Thanks to our hosts Patience & Charlotte for looking after us on the trip and to Boxwood Tours for once again organising a brilliant garden getaway.